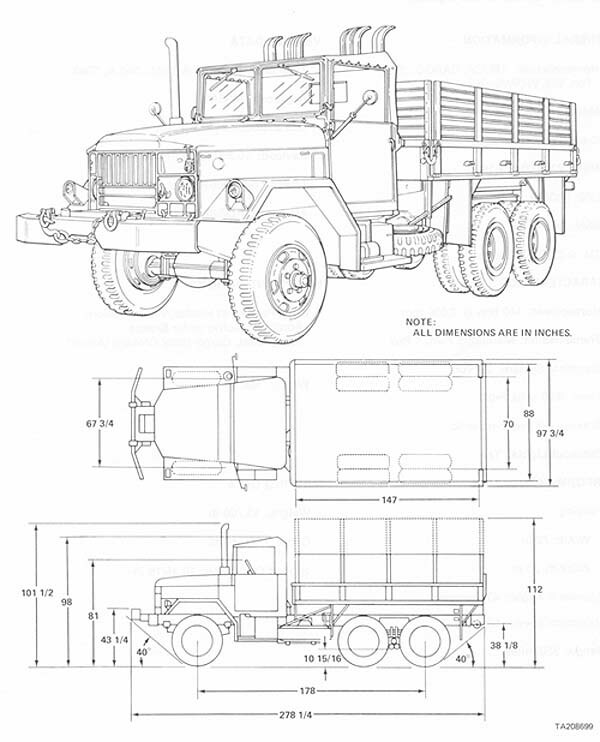 #26 1971 M35A2 AM General "Ft. 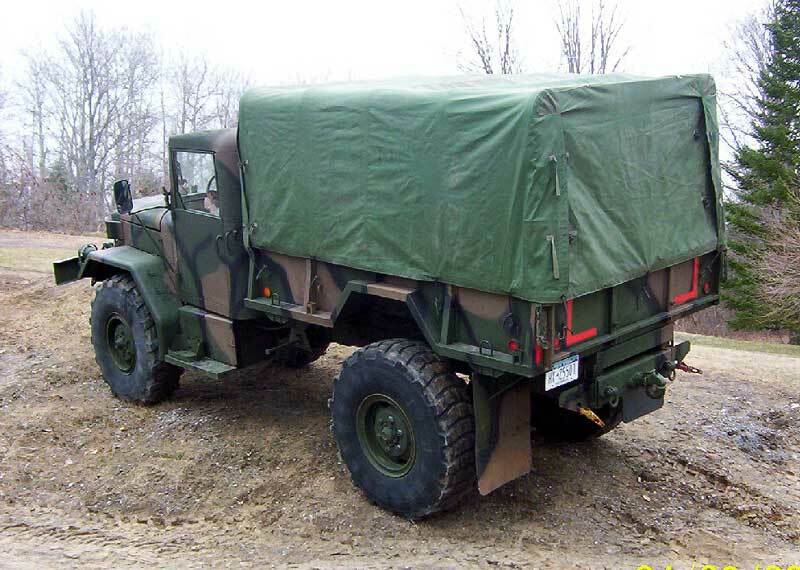 Hood Cargo" $4,500 ~ SALE PENDING! 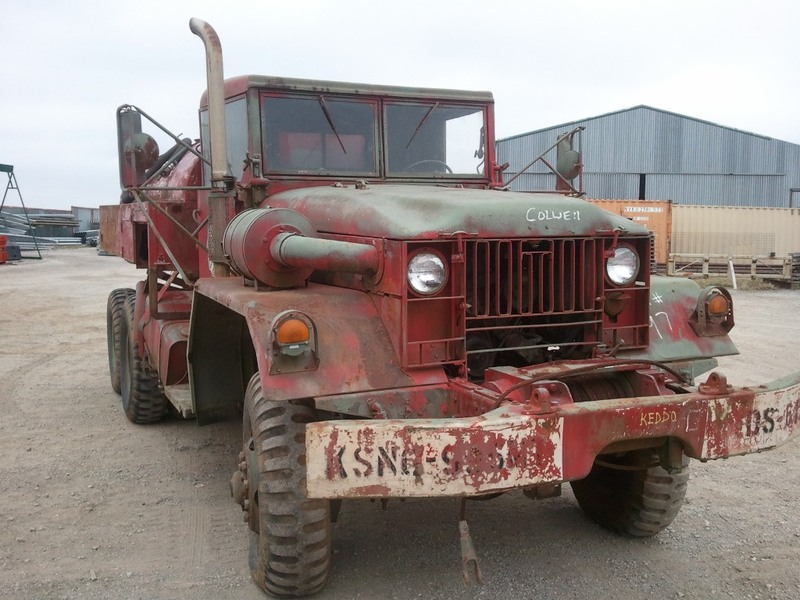 #138 M52A2 Kaiser Jeep "Lonesome" $3,500 More photos coming soon! 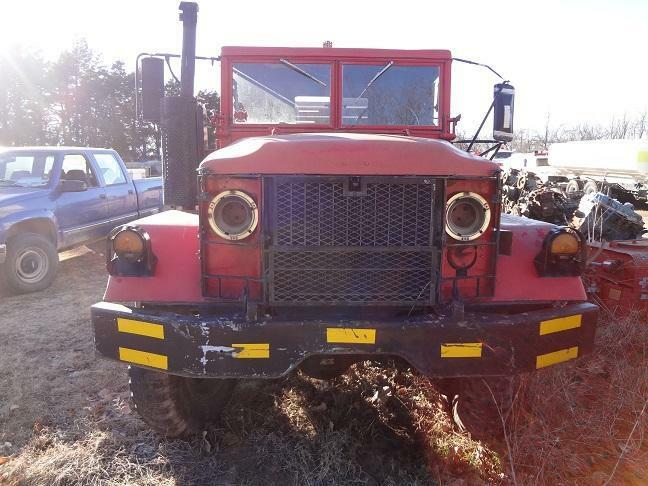 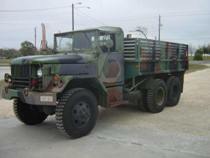 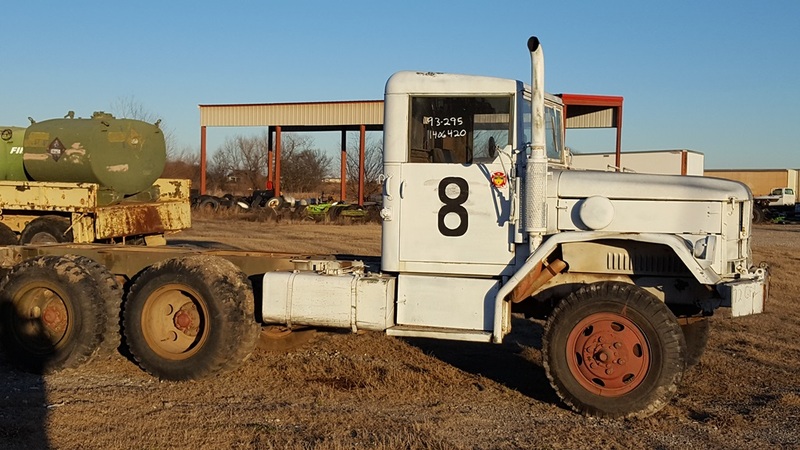 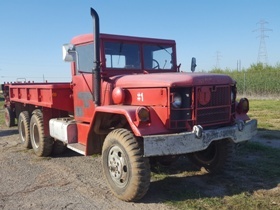 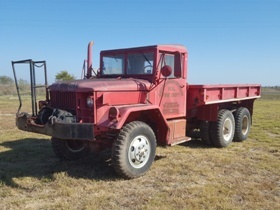 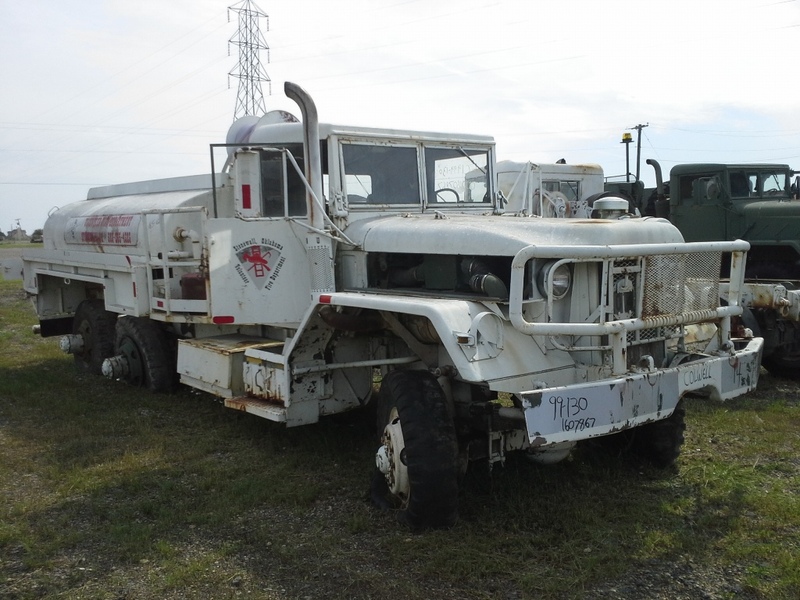 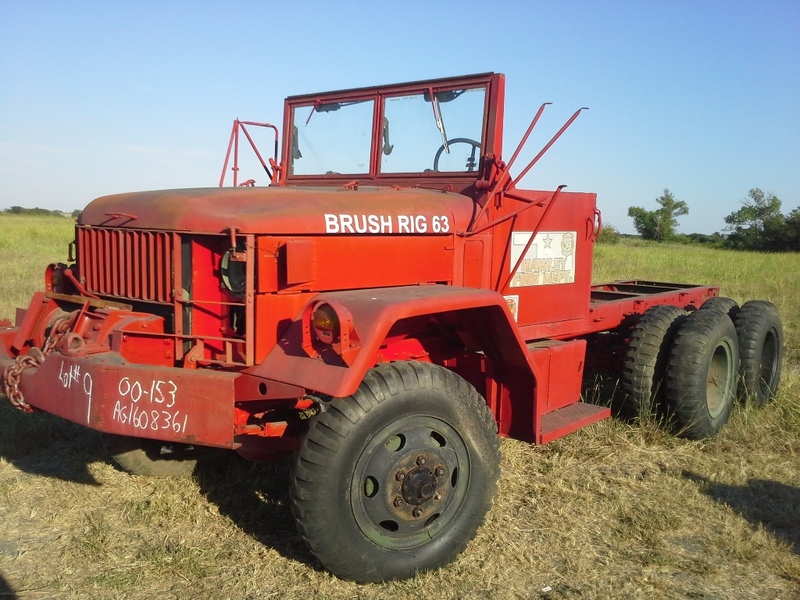 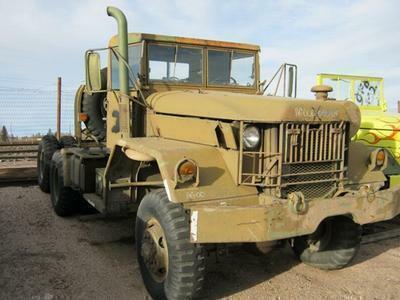 #146 1990 M931A2 BMY - Harsco "SA-Tractor" $9,500 Video Coming Soon! 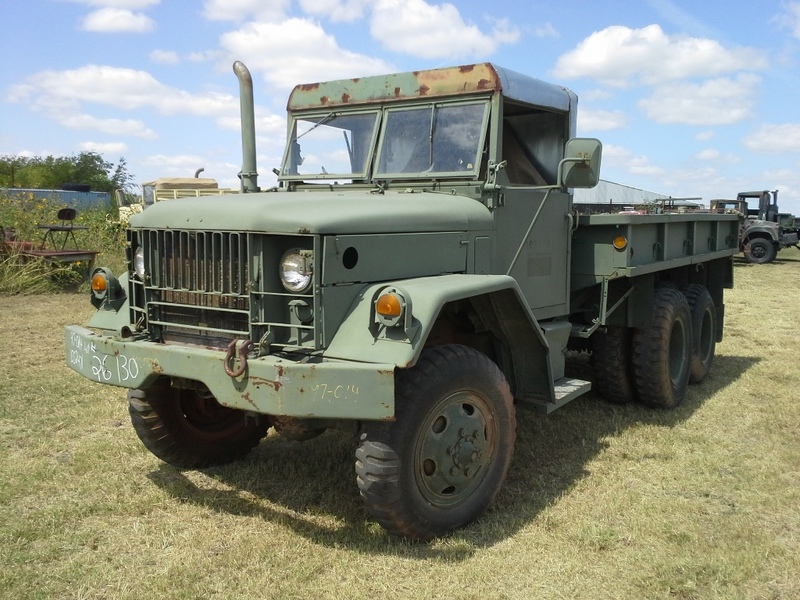 #165 1971 M35A2 AM General w/w "Saratoga" $7,500 Video Coming Soon! 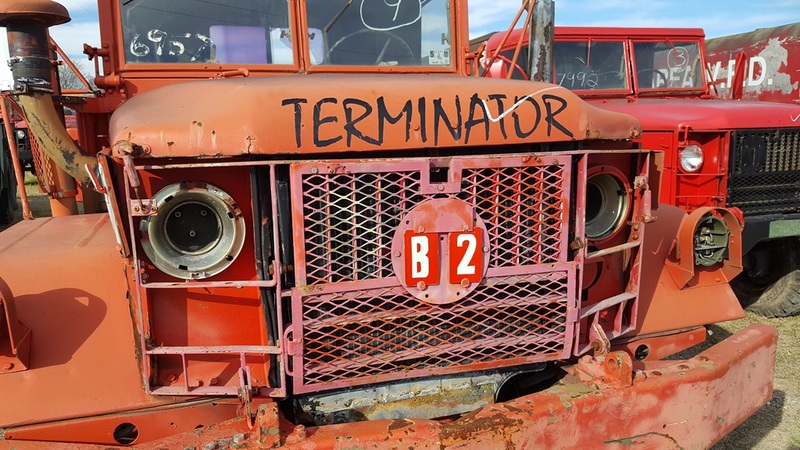 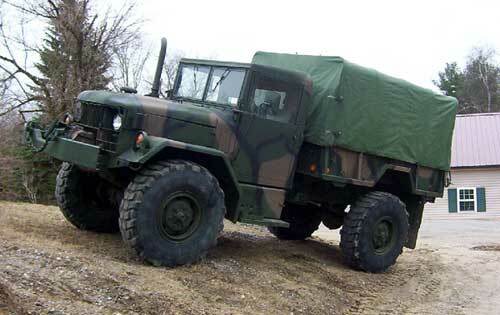 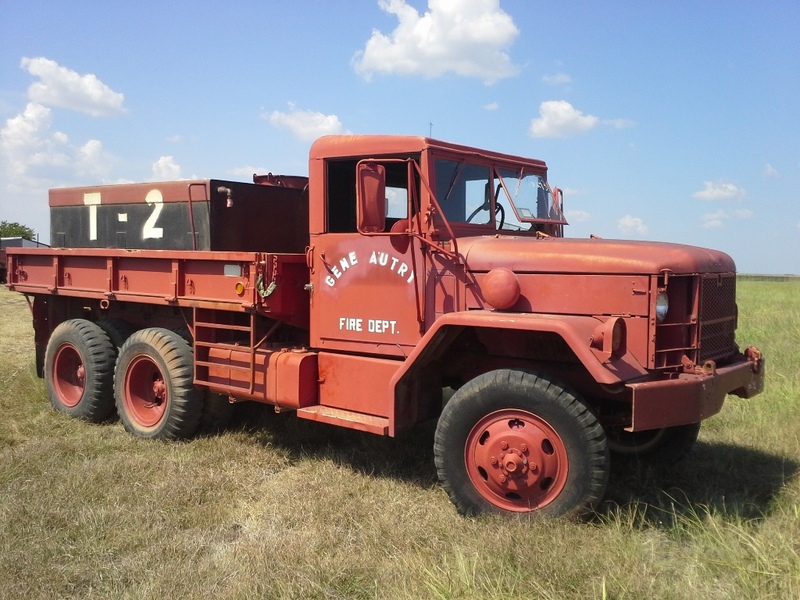 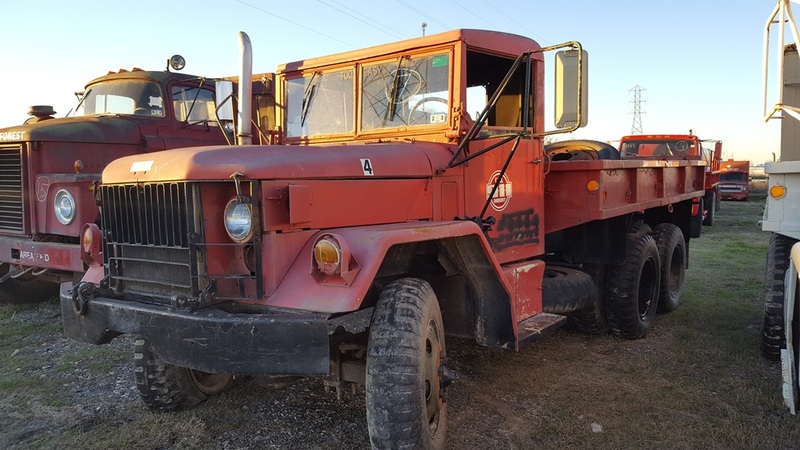 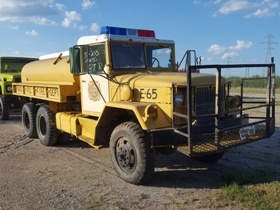 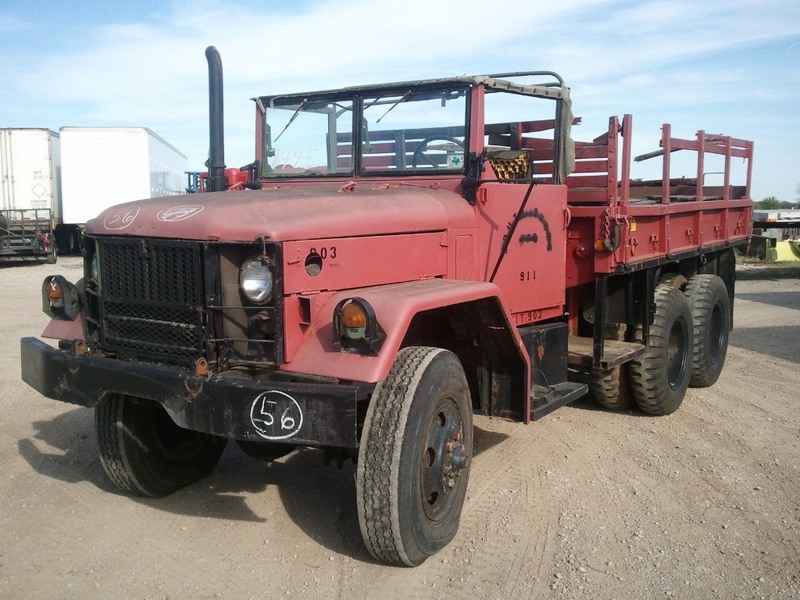 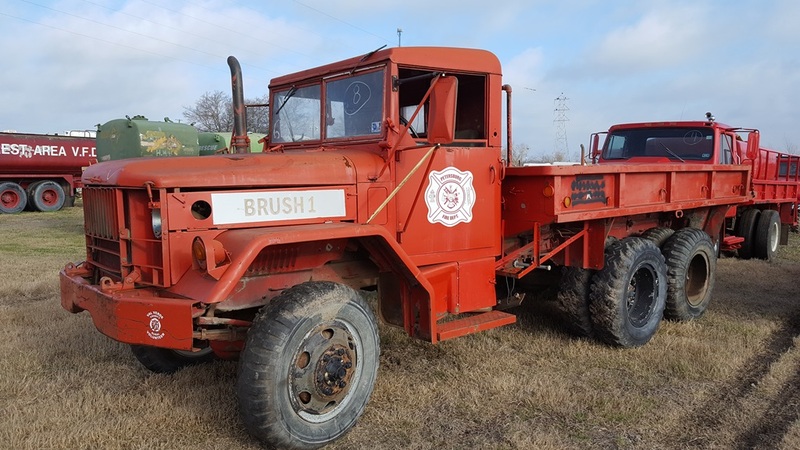 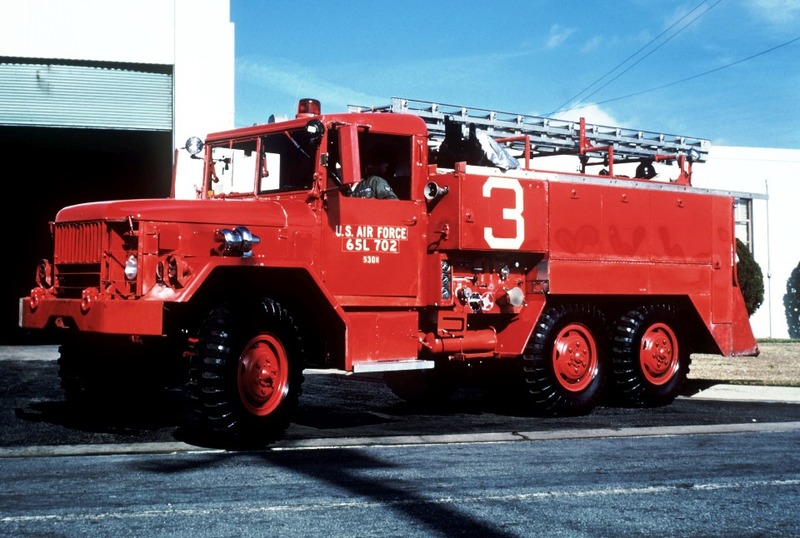 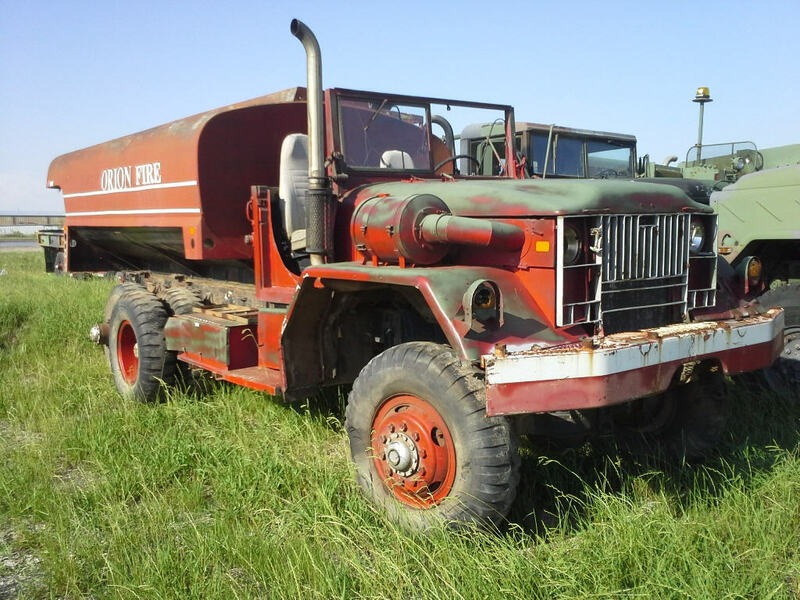 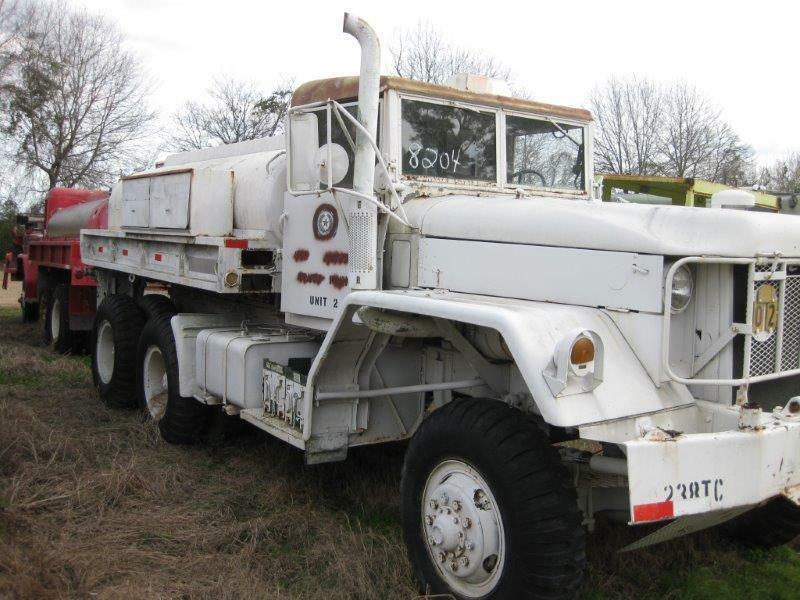 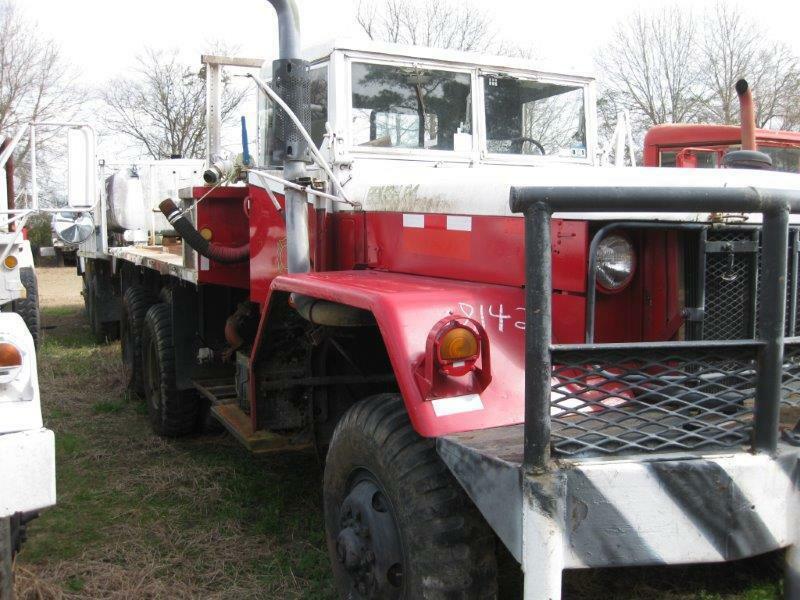 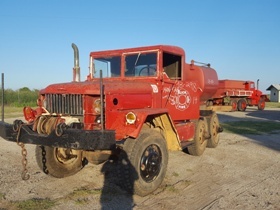 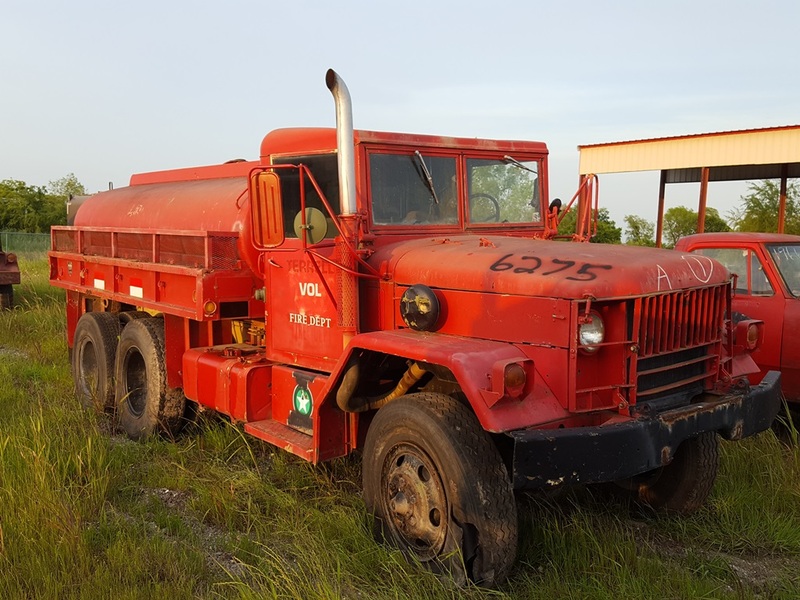 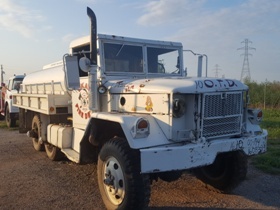 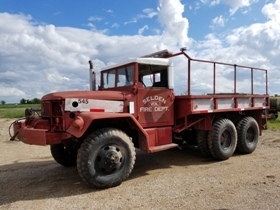 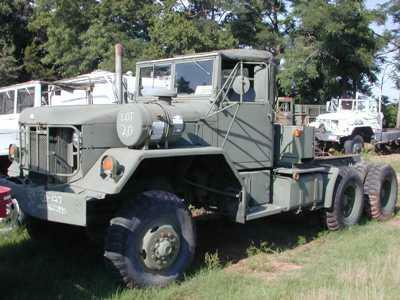 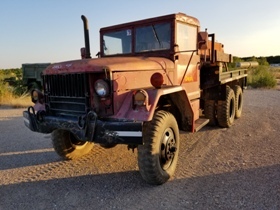 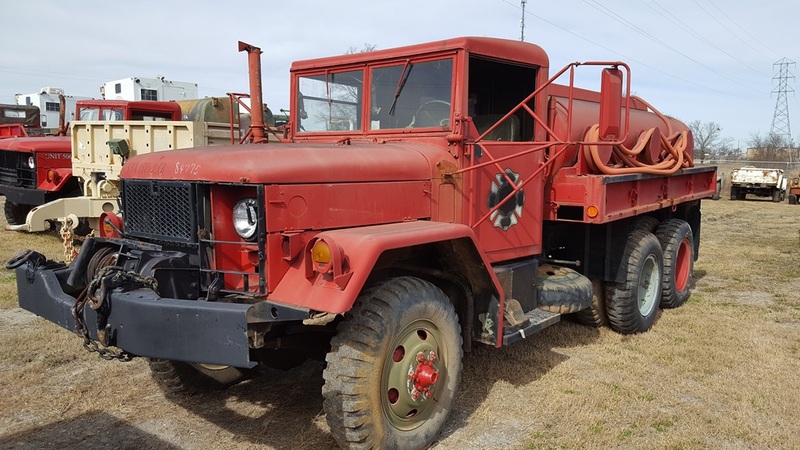 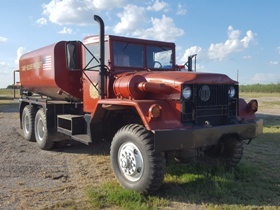 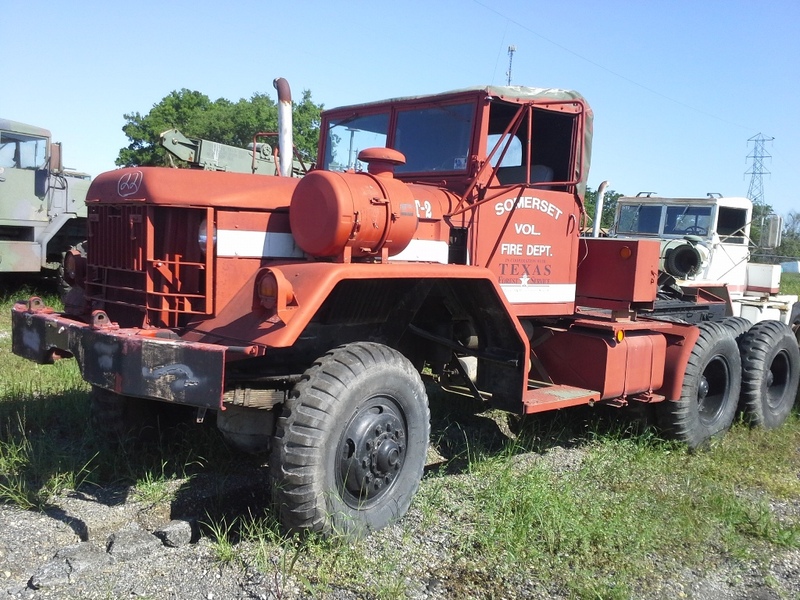 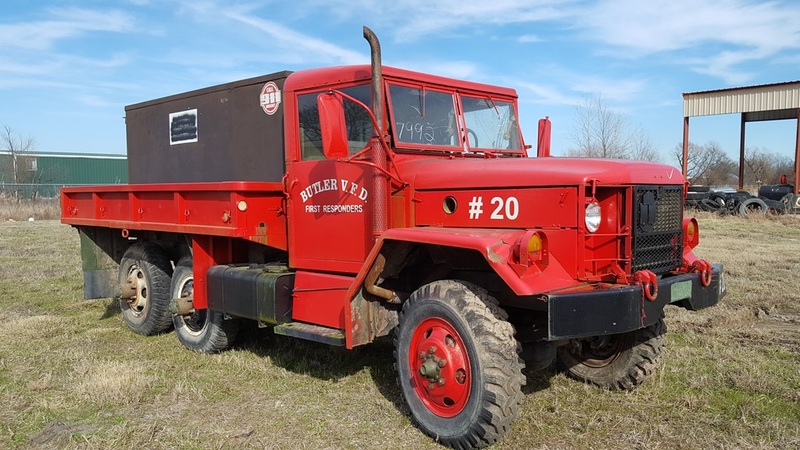 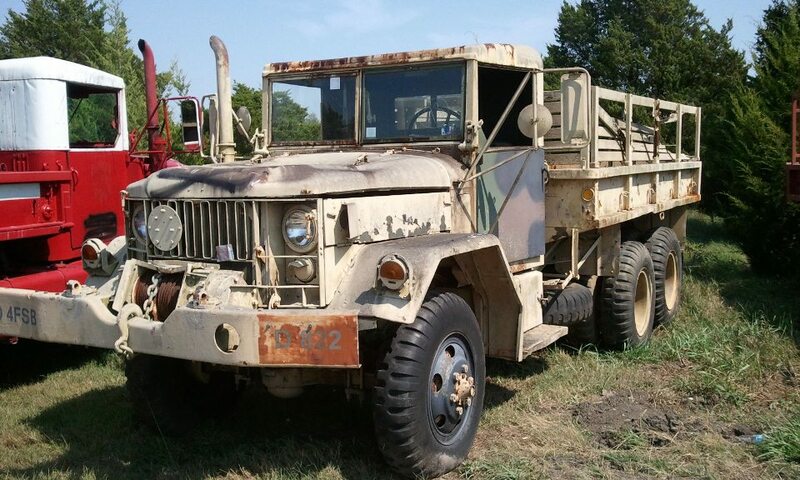 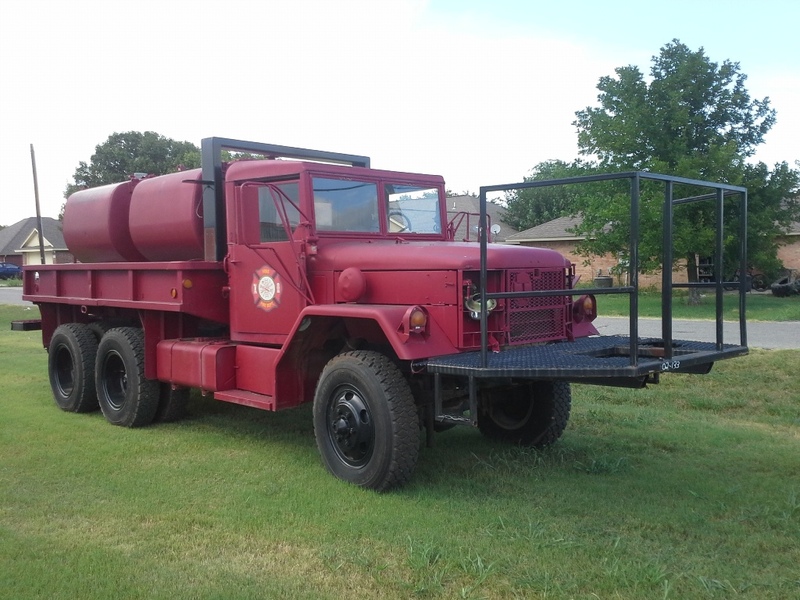 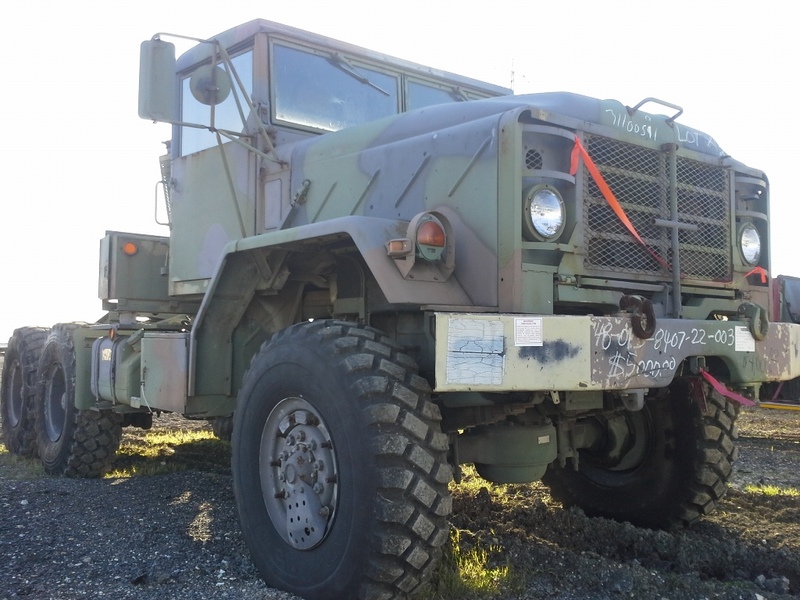 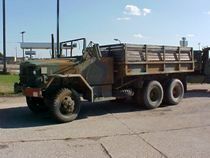 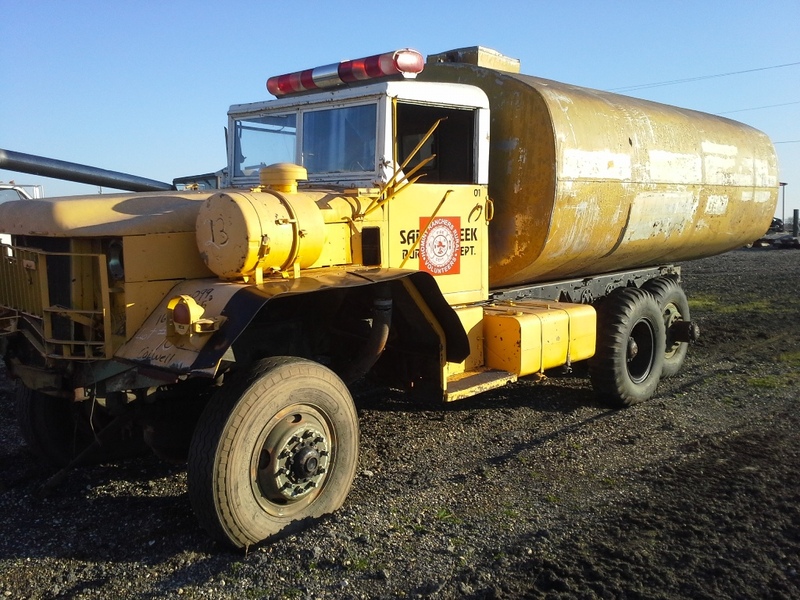 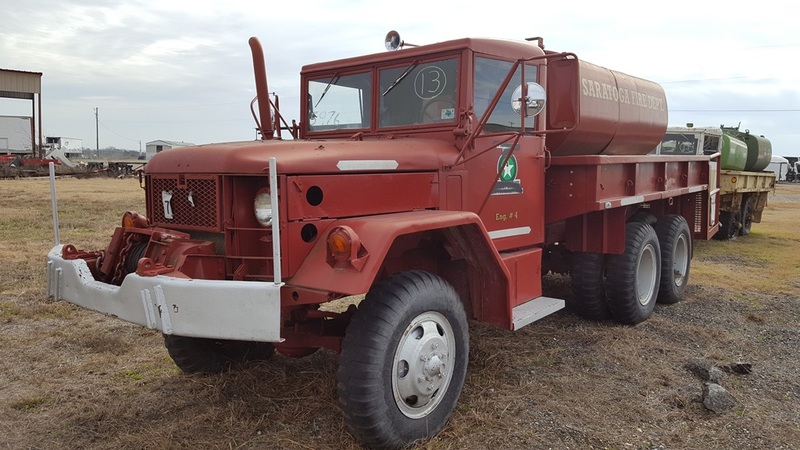 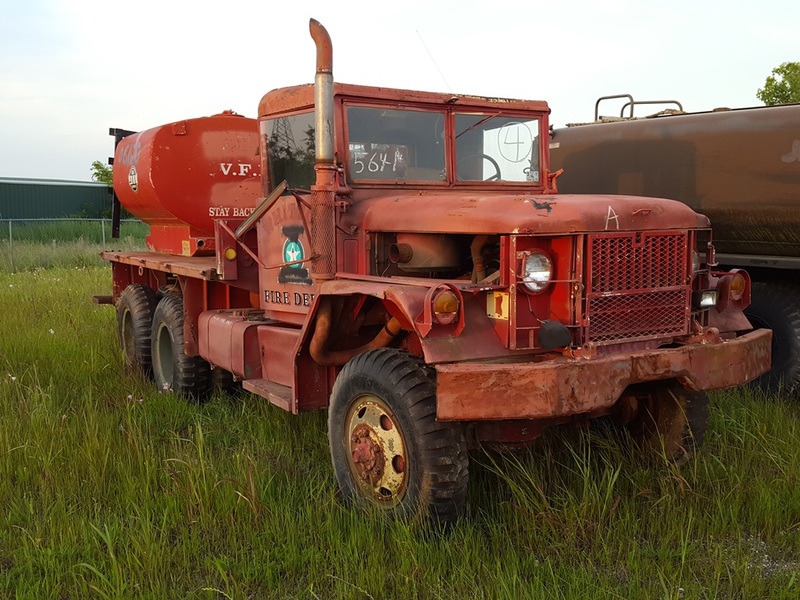 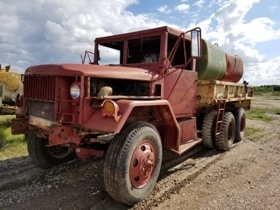 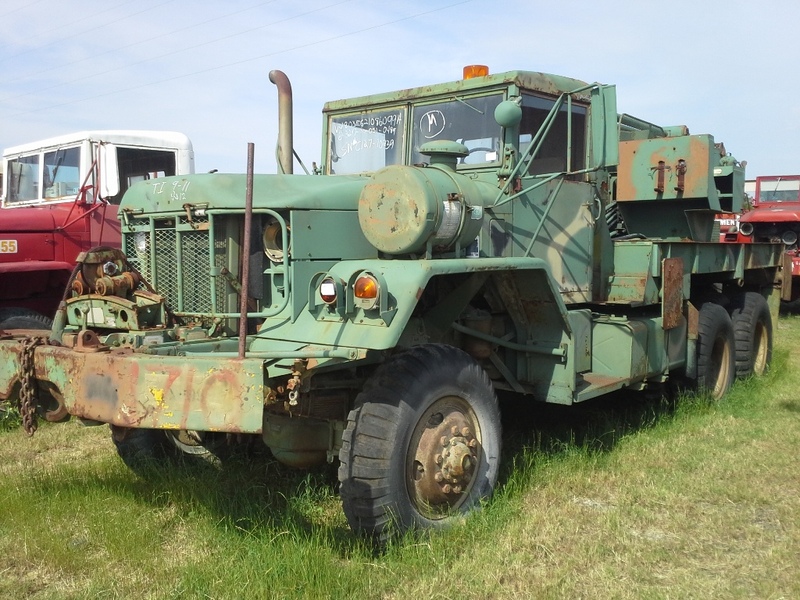 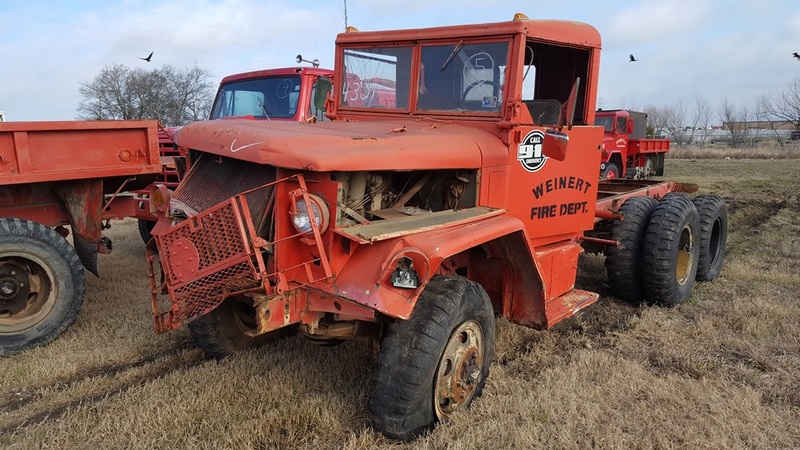 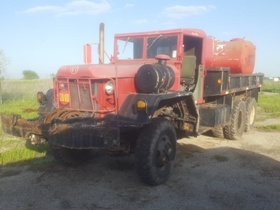 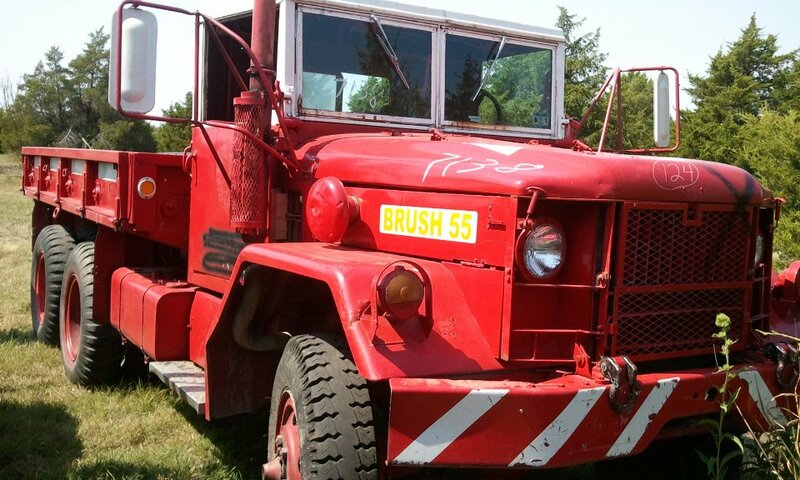 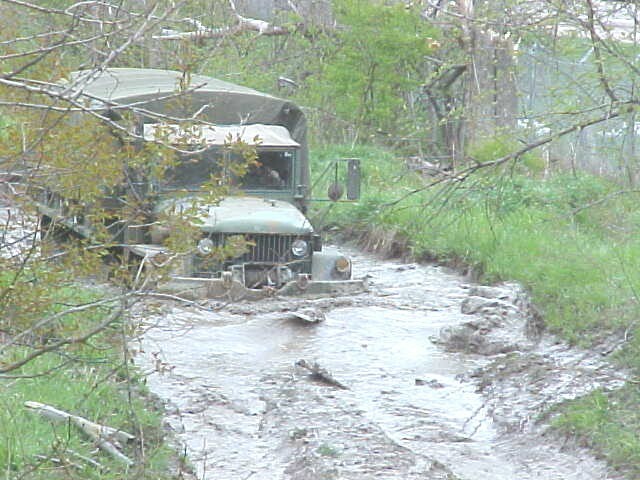 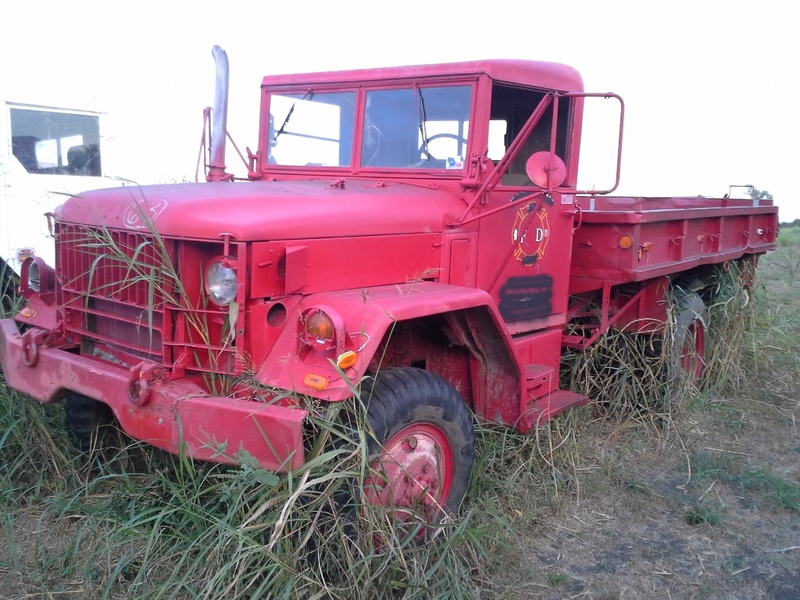 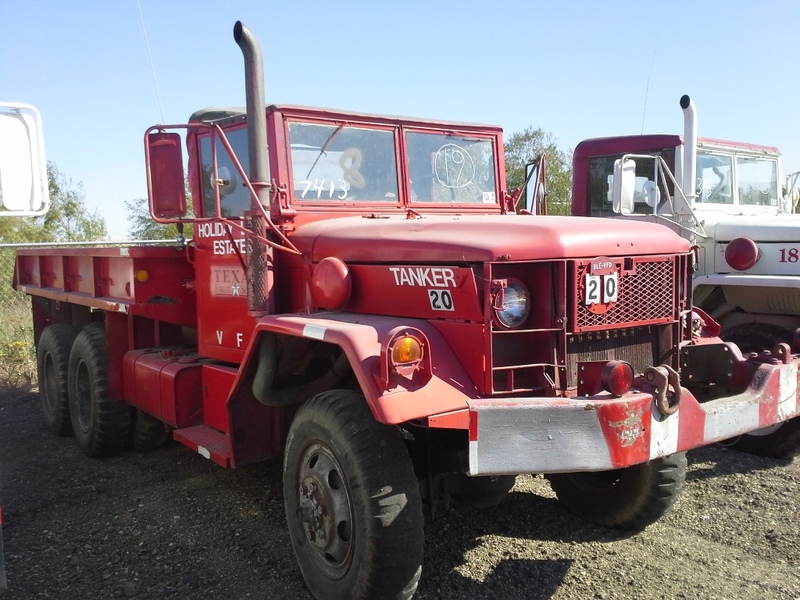 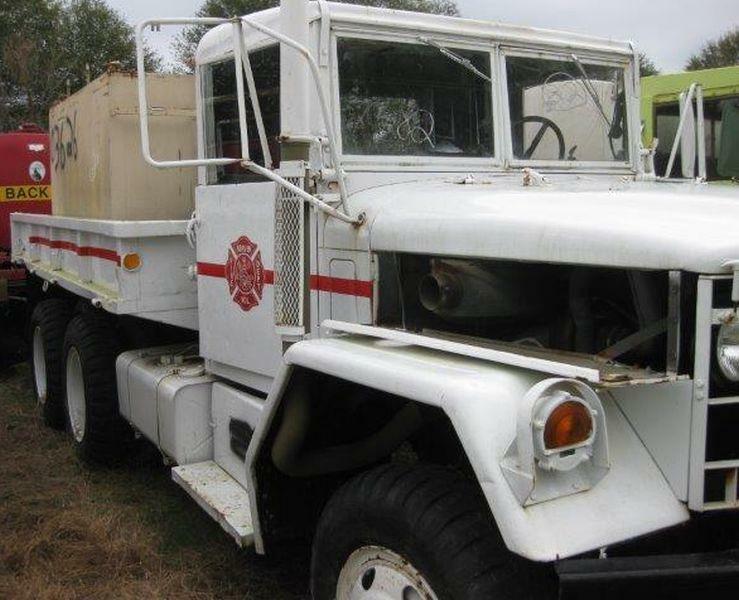 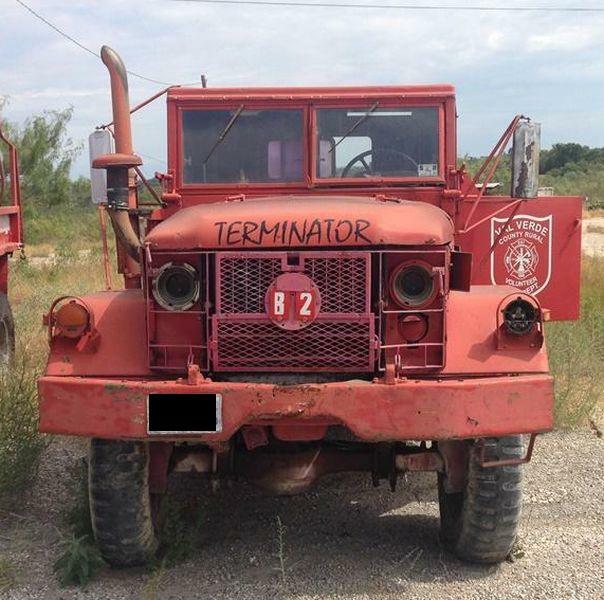 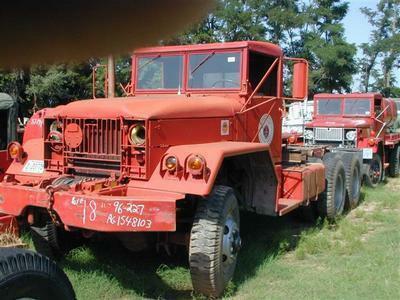 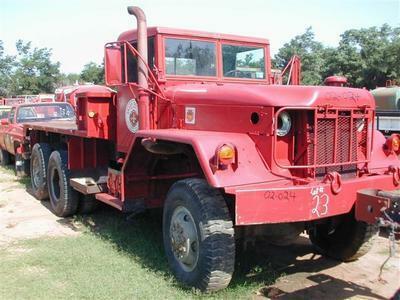 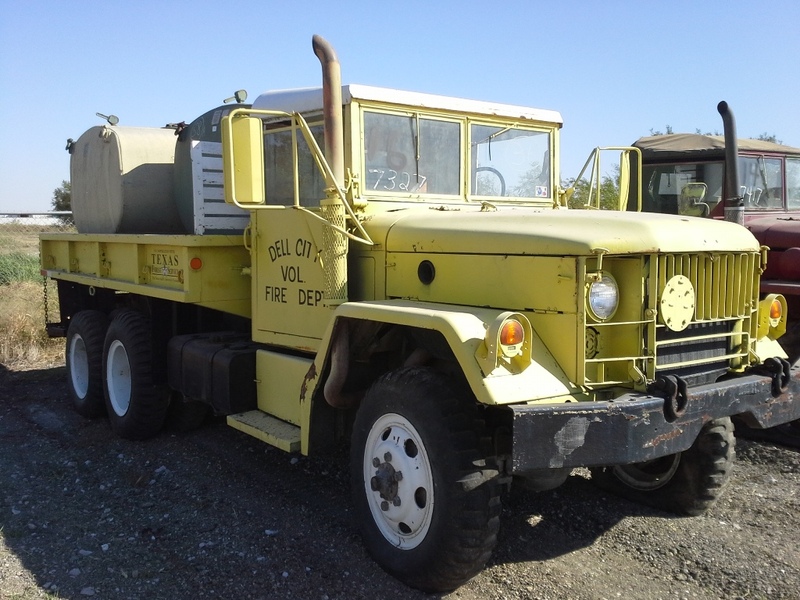 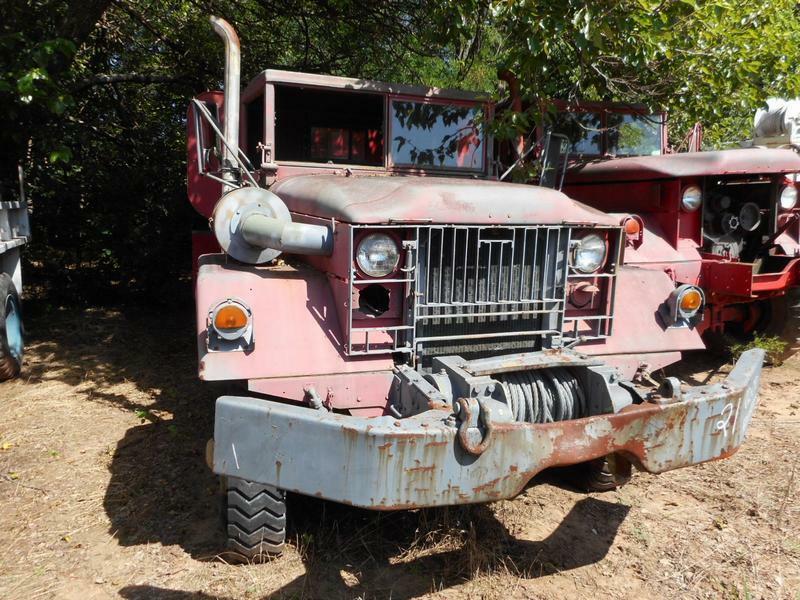 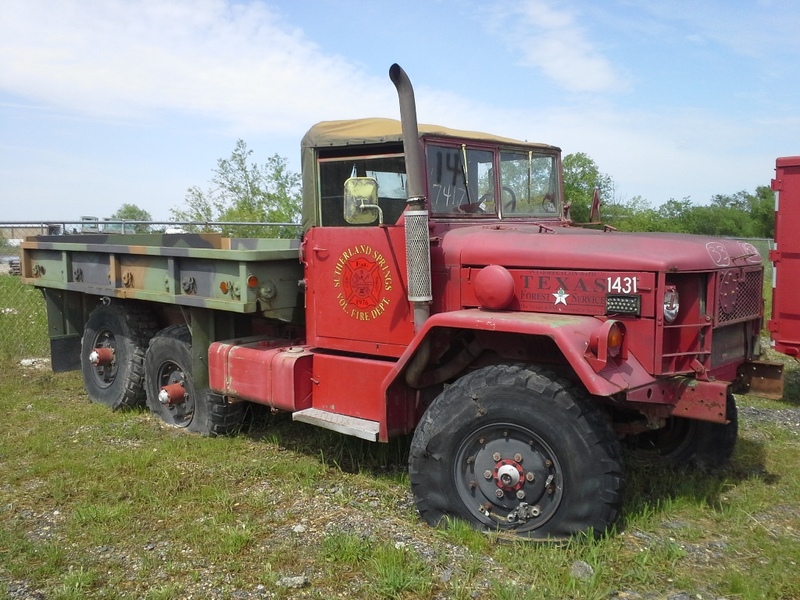 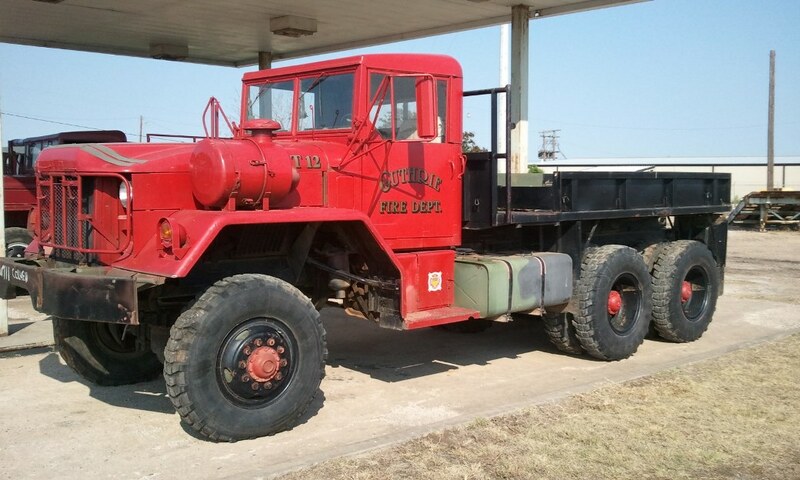 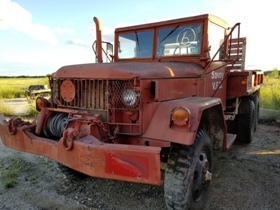 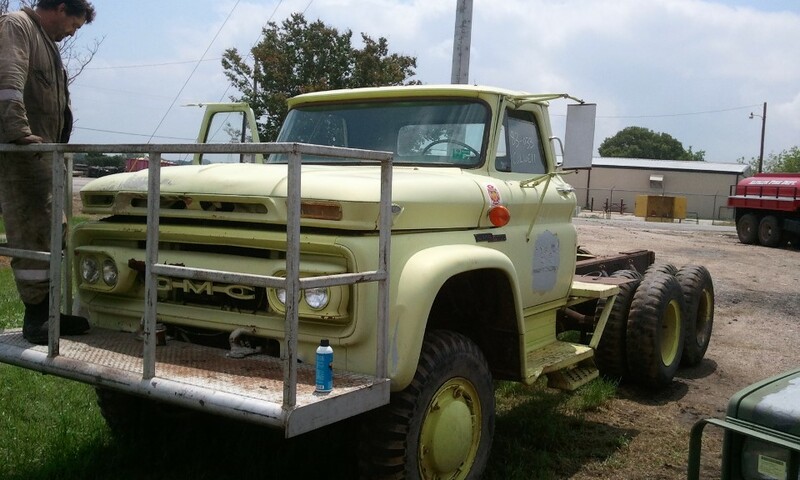 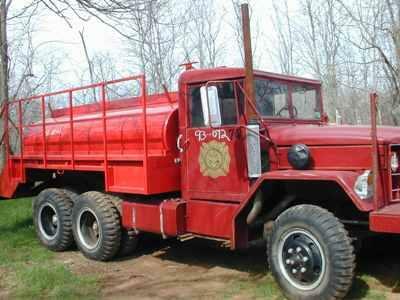 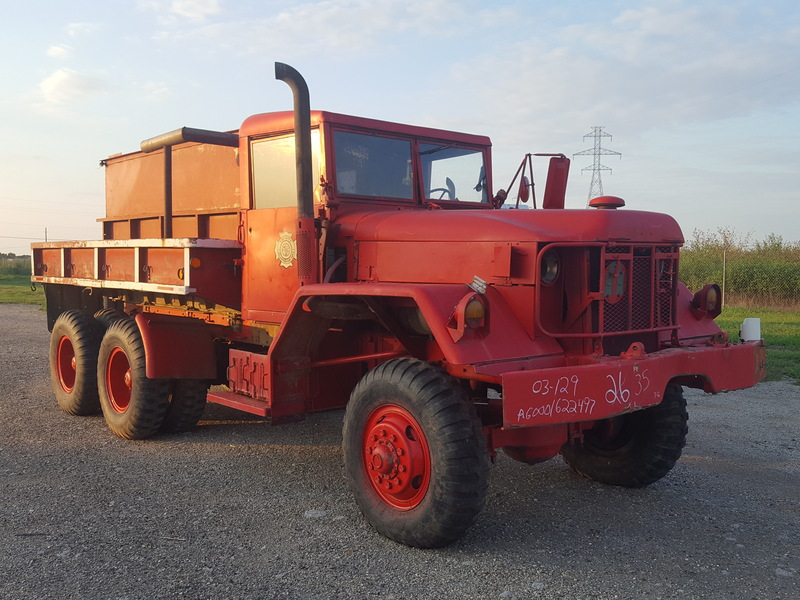 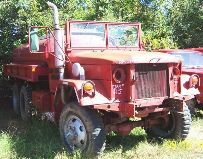 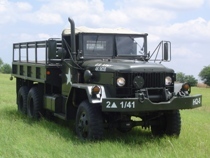 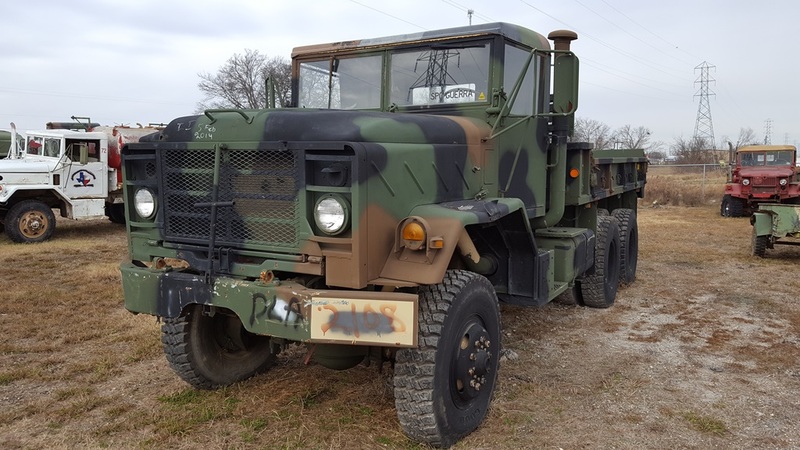 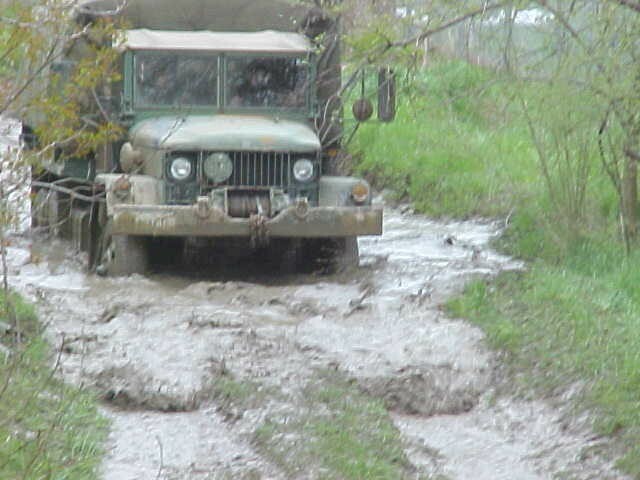 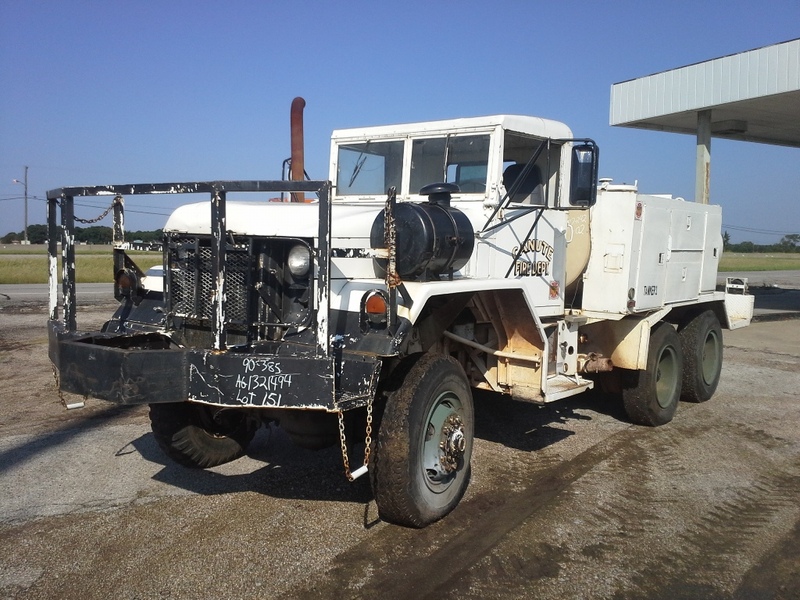 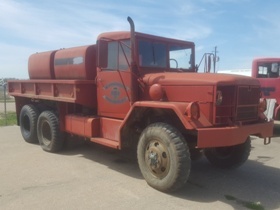 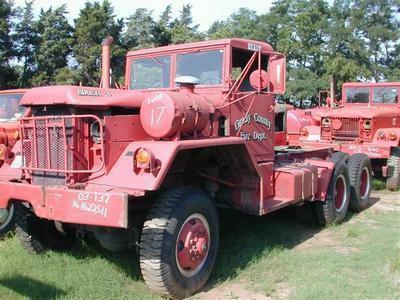 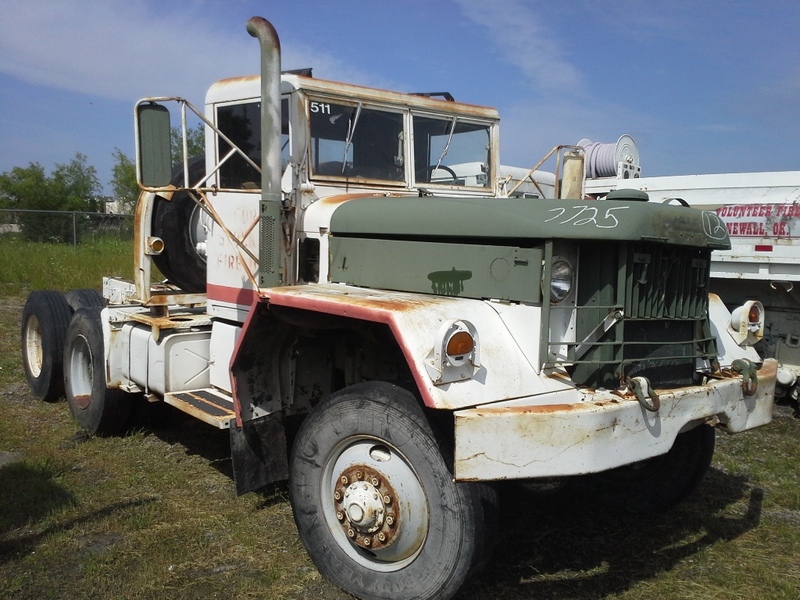 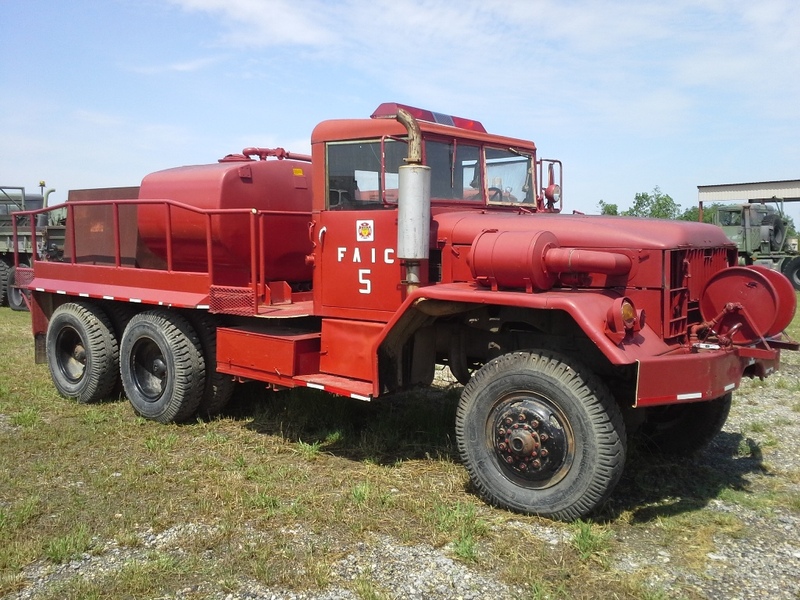 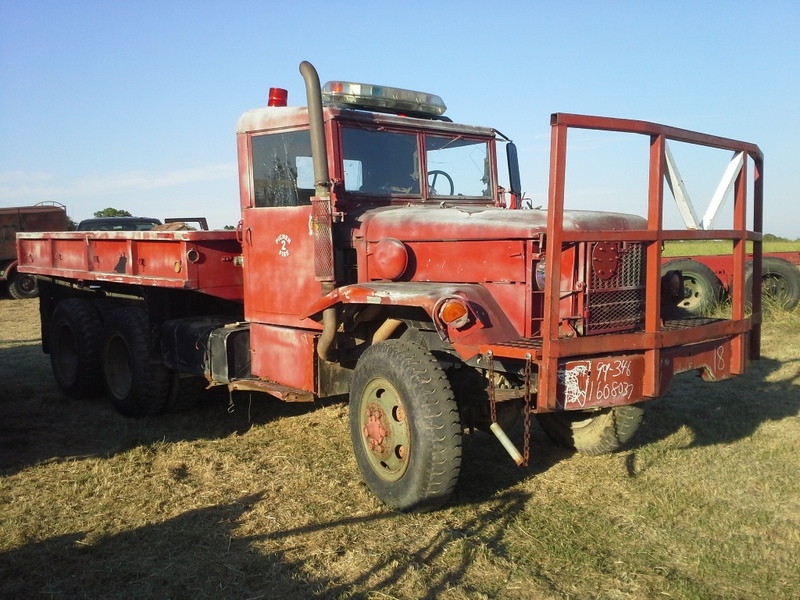 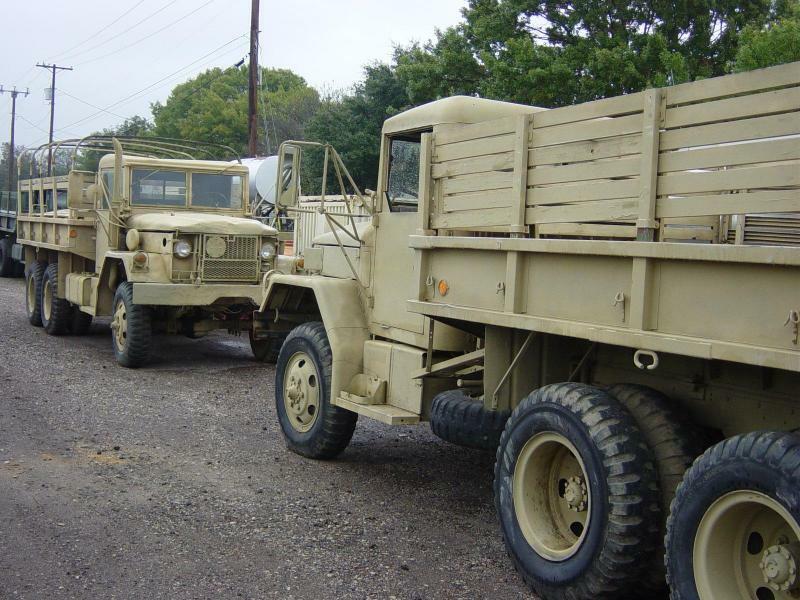 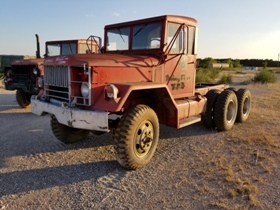 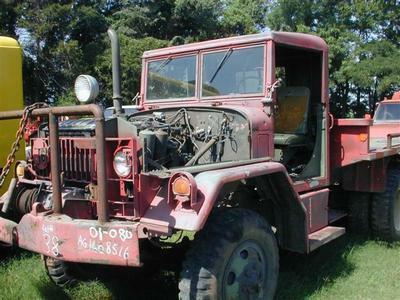 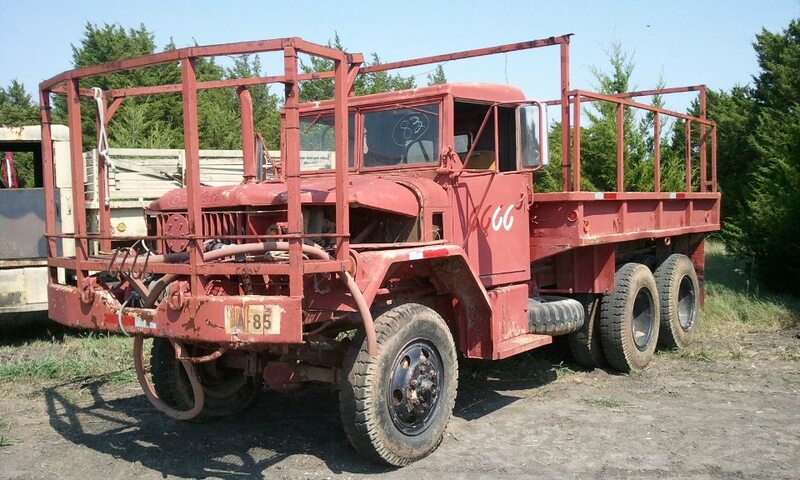 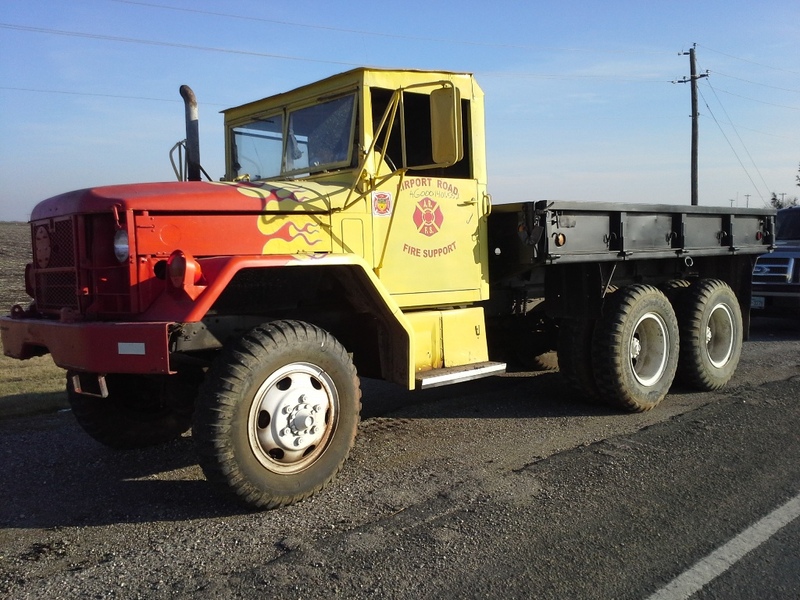 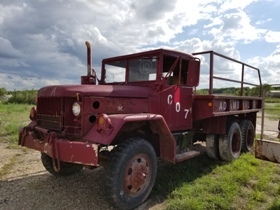 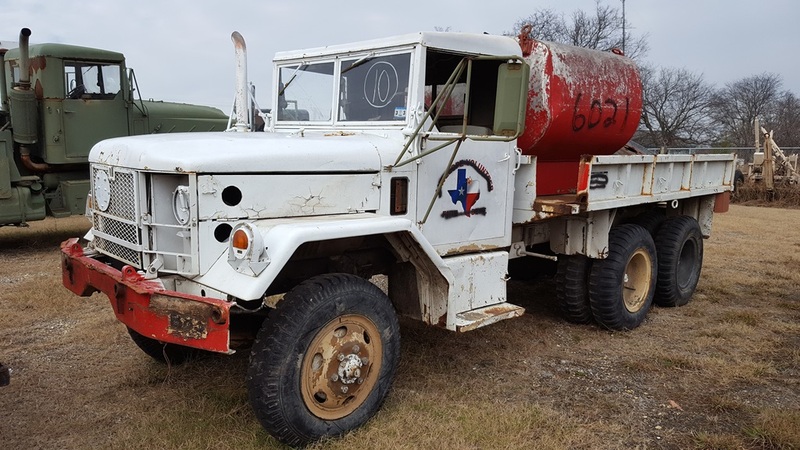 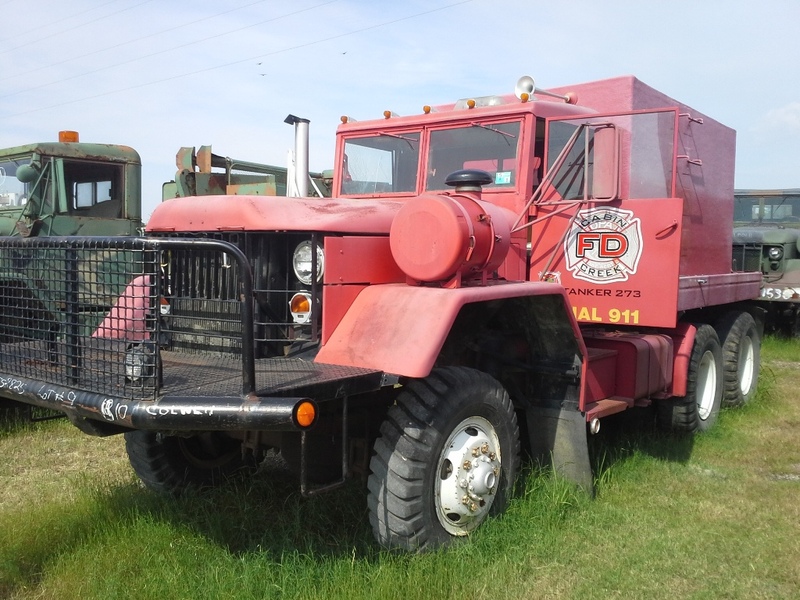 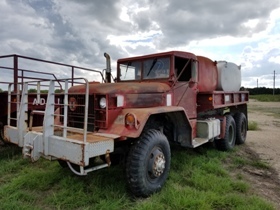 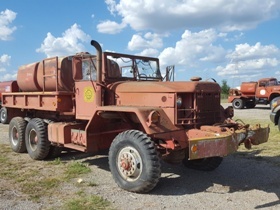 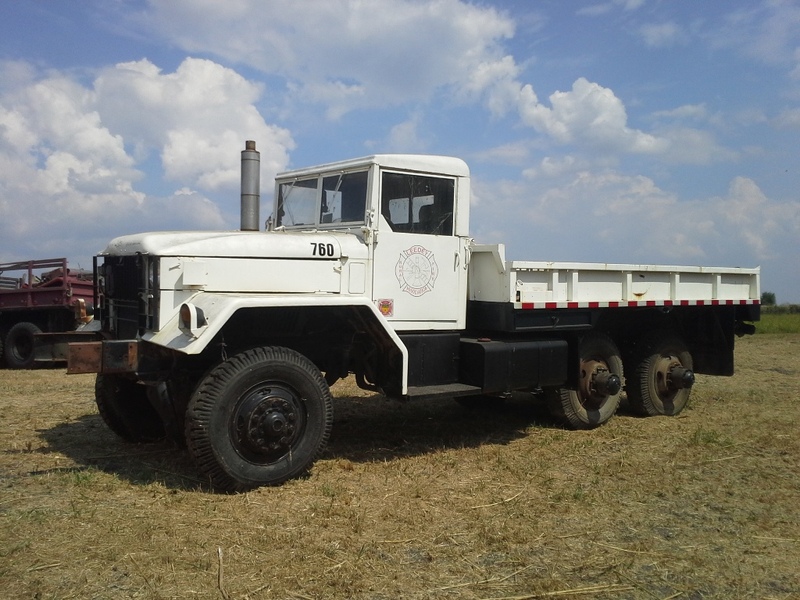 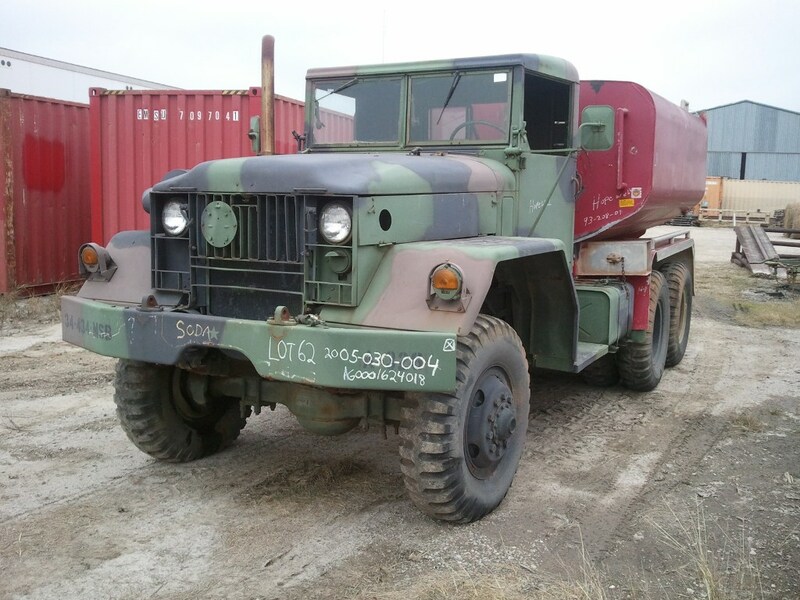 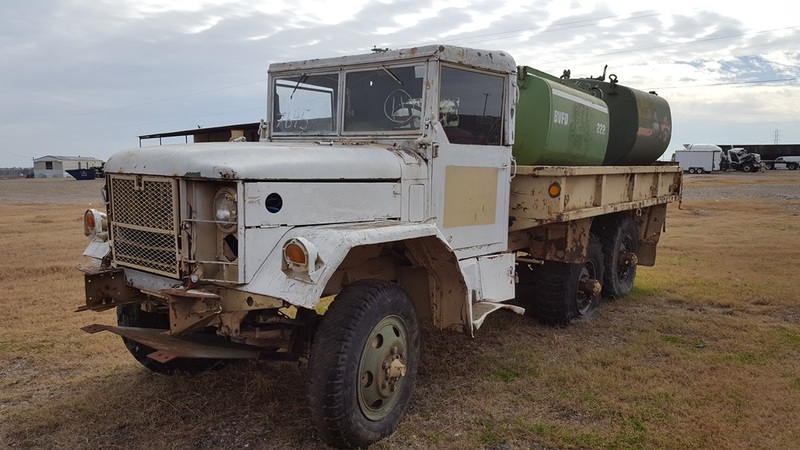 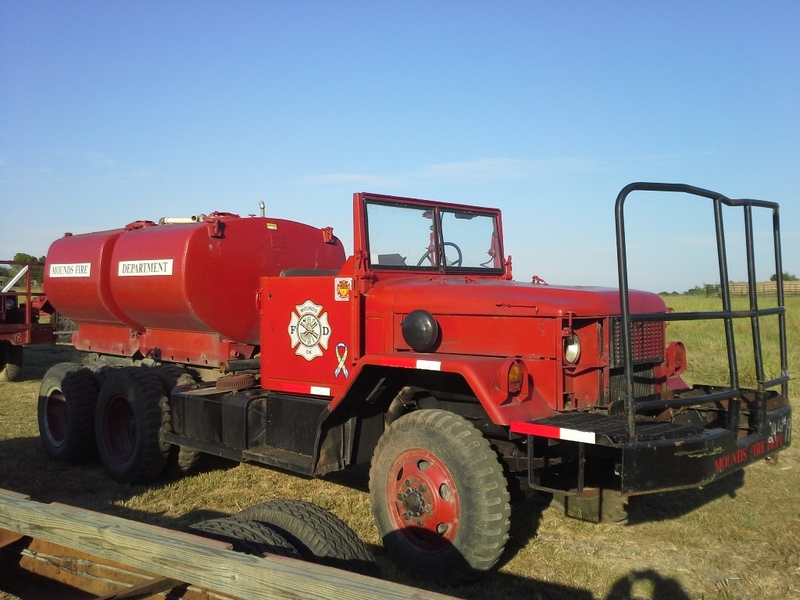 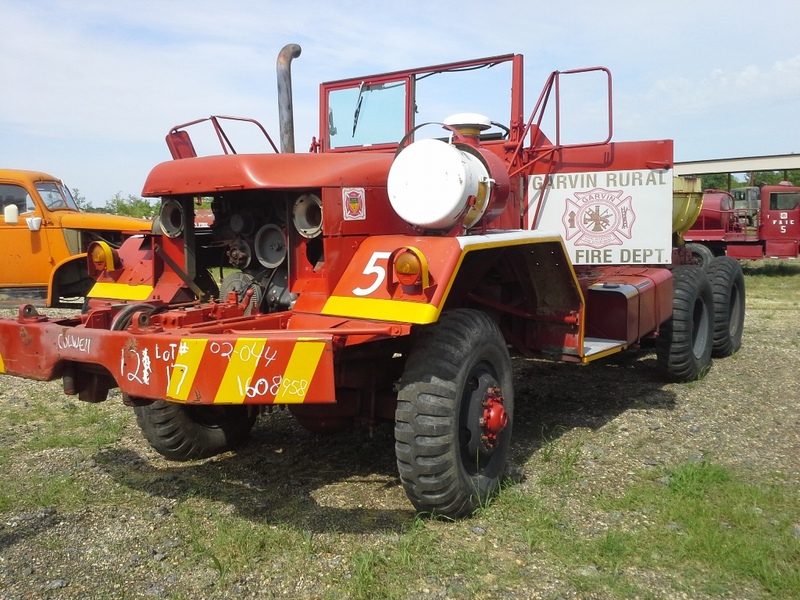 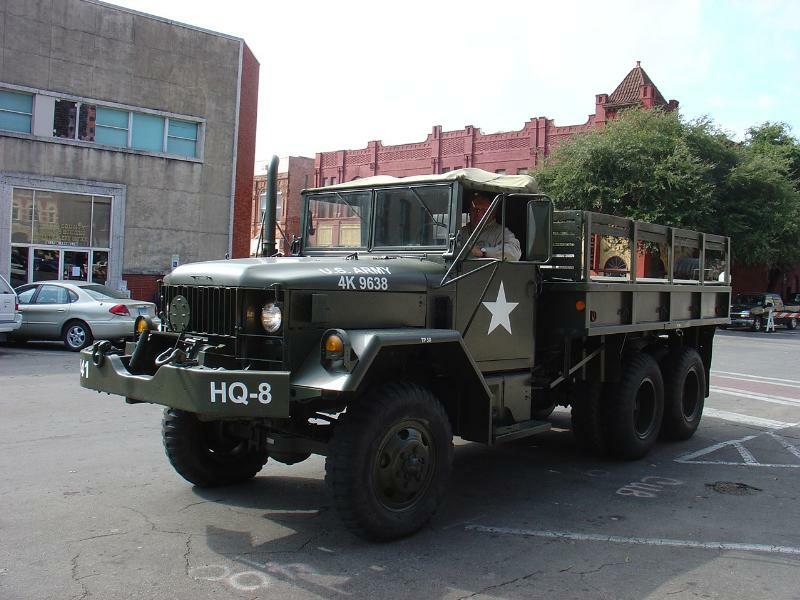 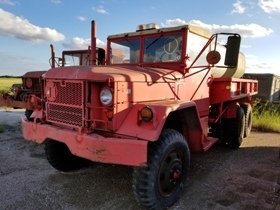 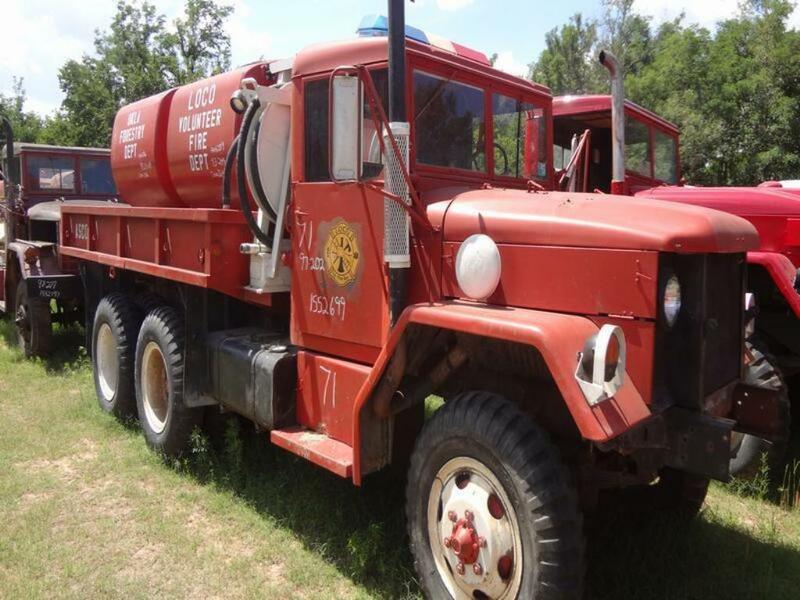 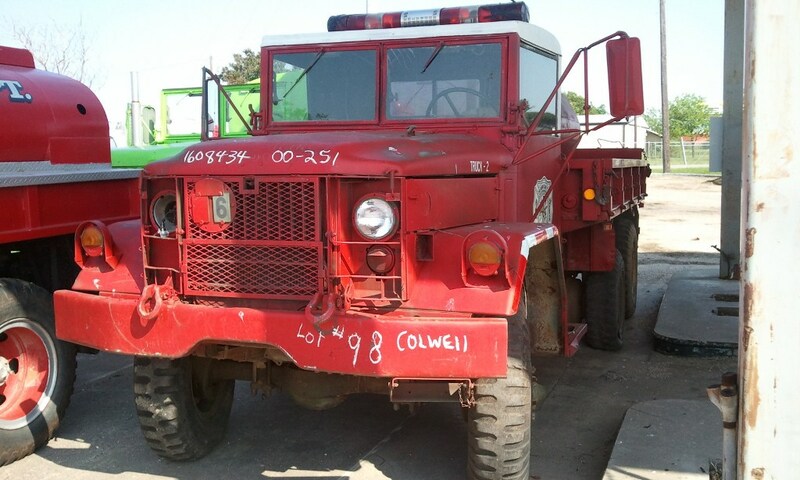 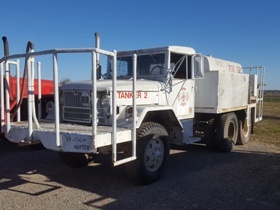 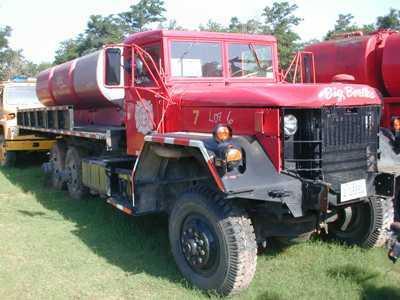 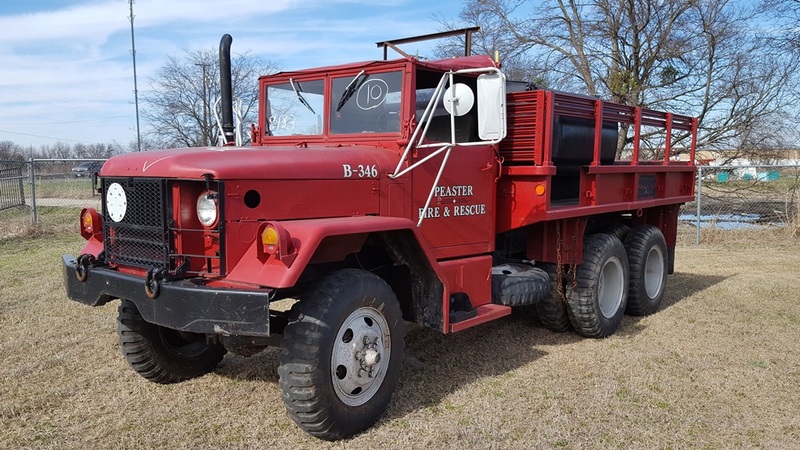 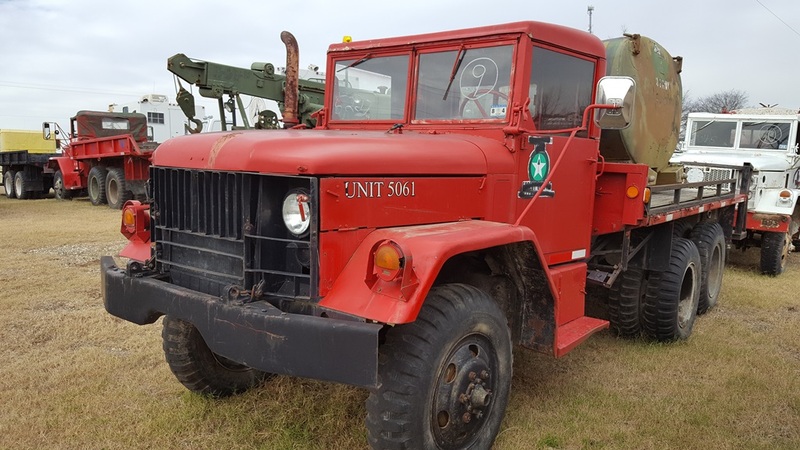 #167 1983 M49A2C AM General Tanker "Valley Hill" $7,500 Video Coming Soon! 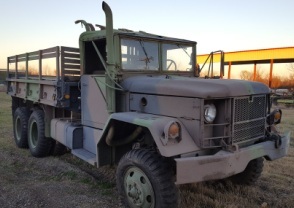 #169 1971 M35A2 AM General "Butler" $6,500 Video Coming Soon! 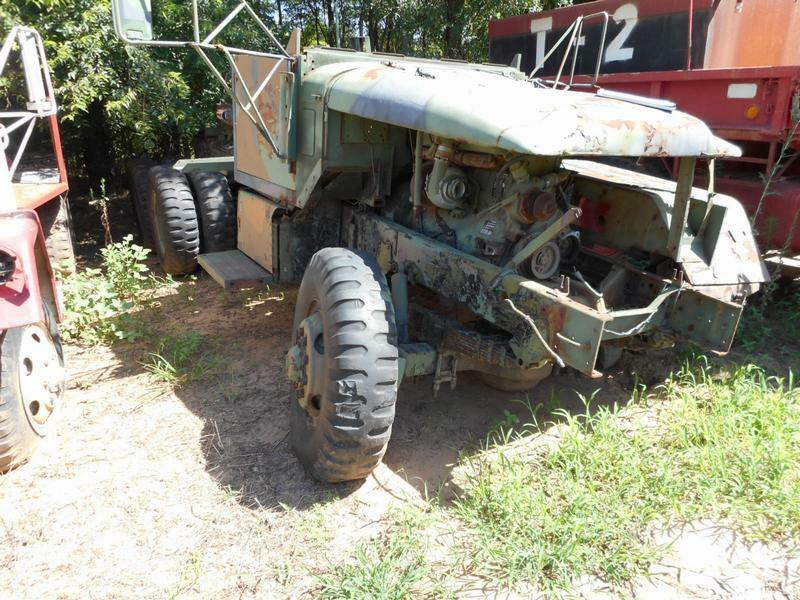 #173 1970 M35A2 Kaiser Jeep "Terminator" $5,500 Video Coming Soon! 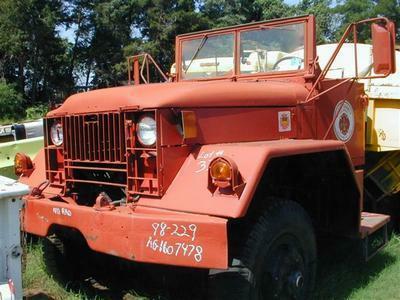 #175 1970 M35A2 Kaiser Jeep Cargo Truck "Peaster" $7,500 Video Coming Soon! 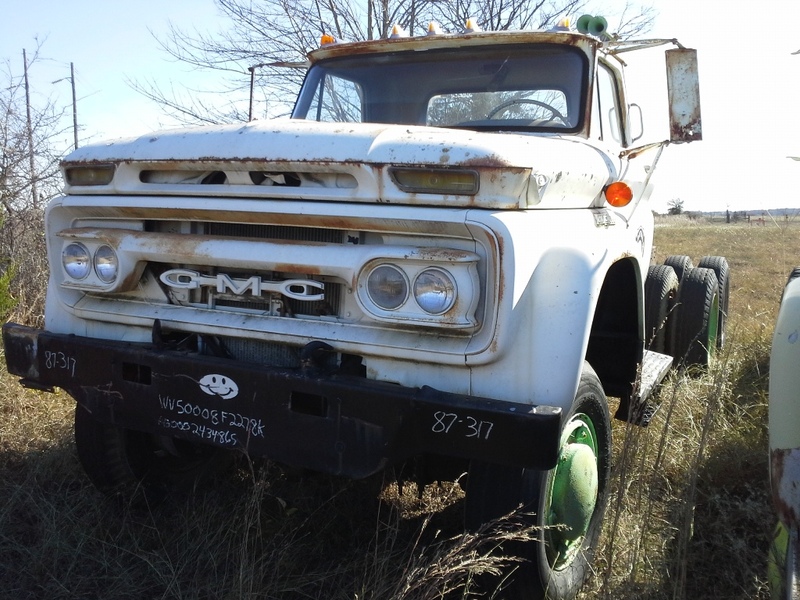 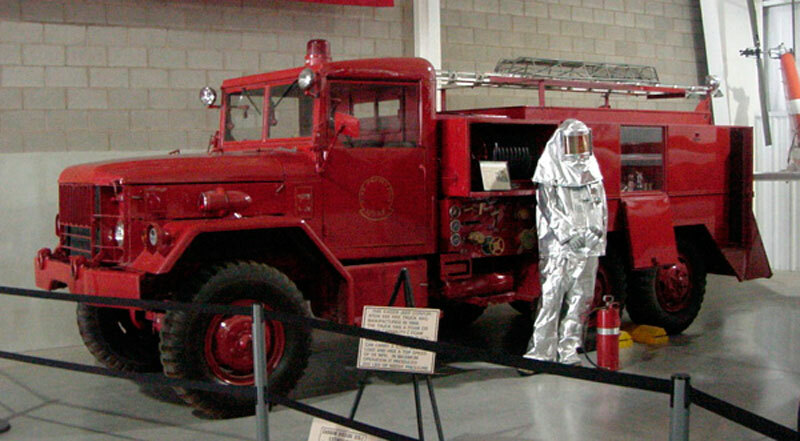 1944 GMC CCKW 353 Coming Soon! 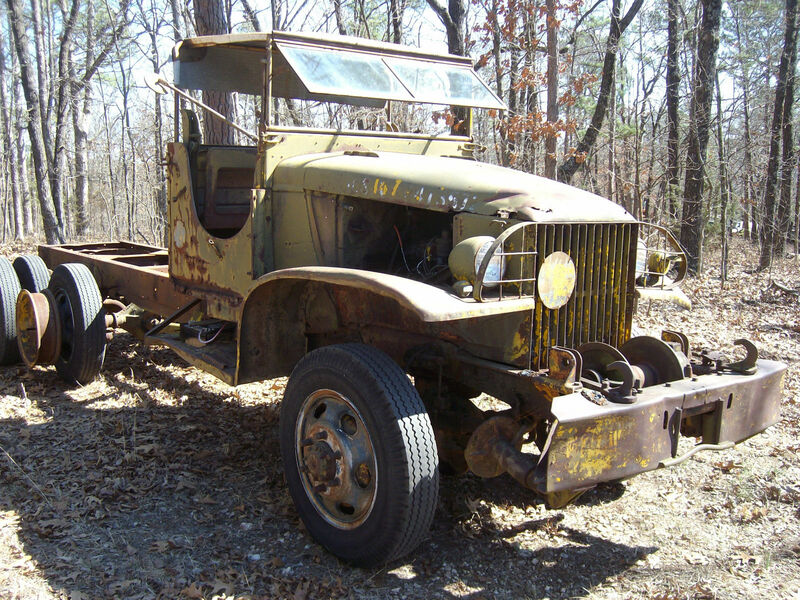 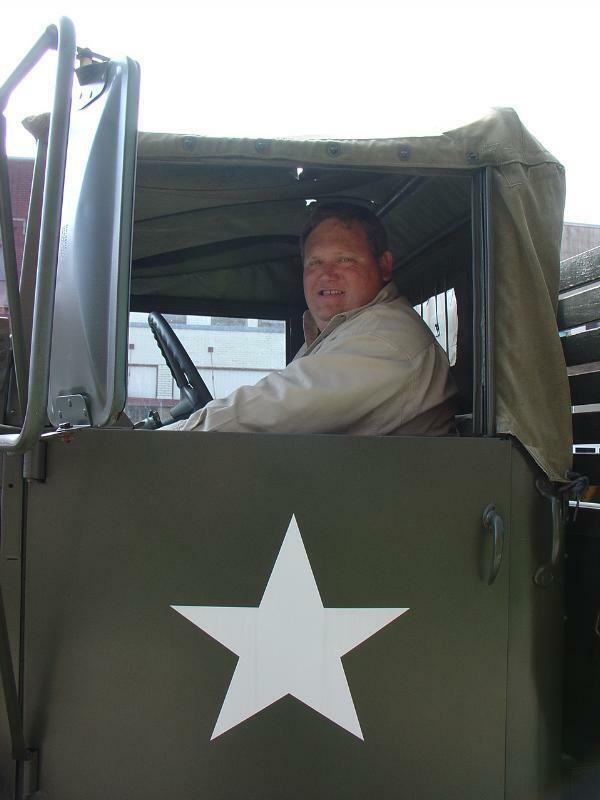 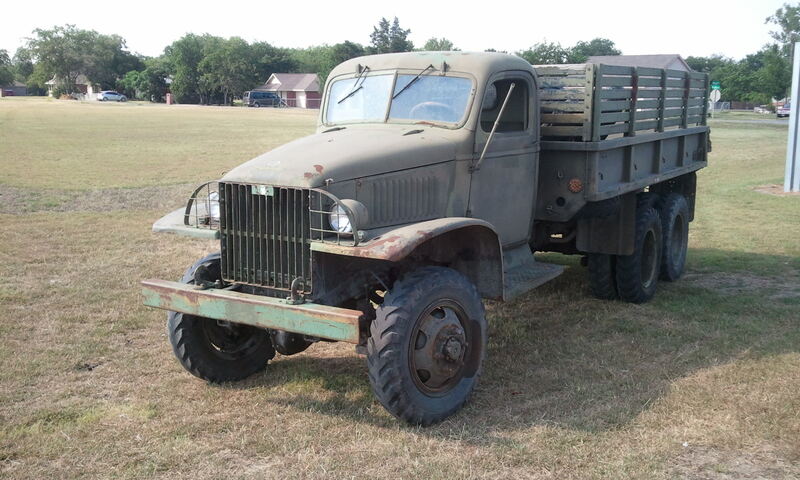 1940 GMC CCKWX 353 WWII Cargo Truck Not For Sale! 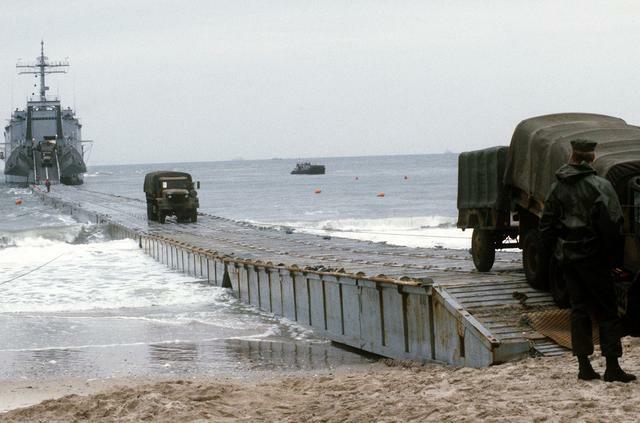 Here is a very interesting concept that was on the internet that I saw. 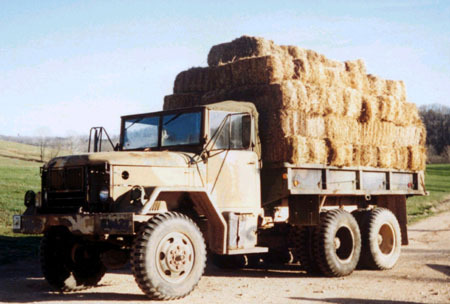 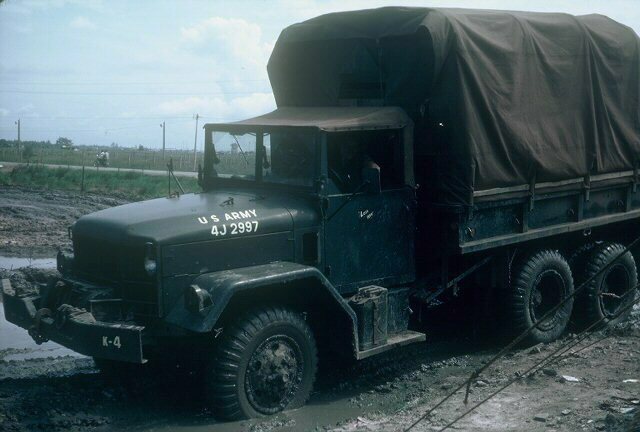 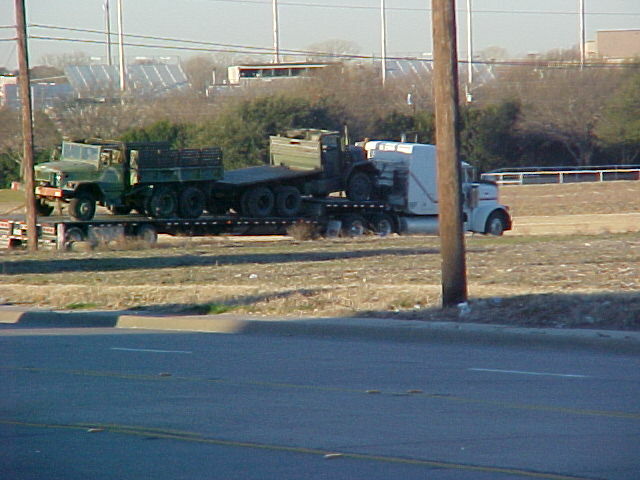 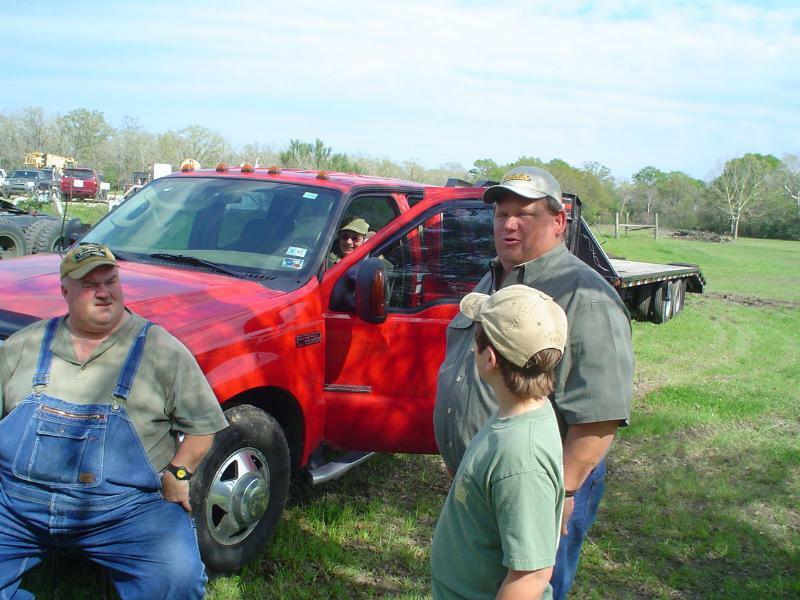 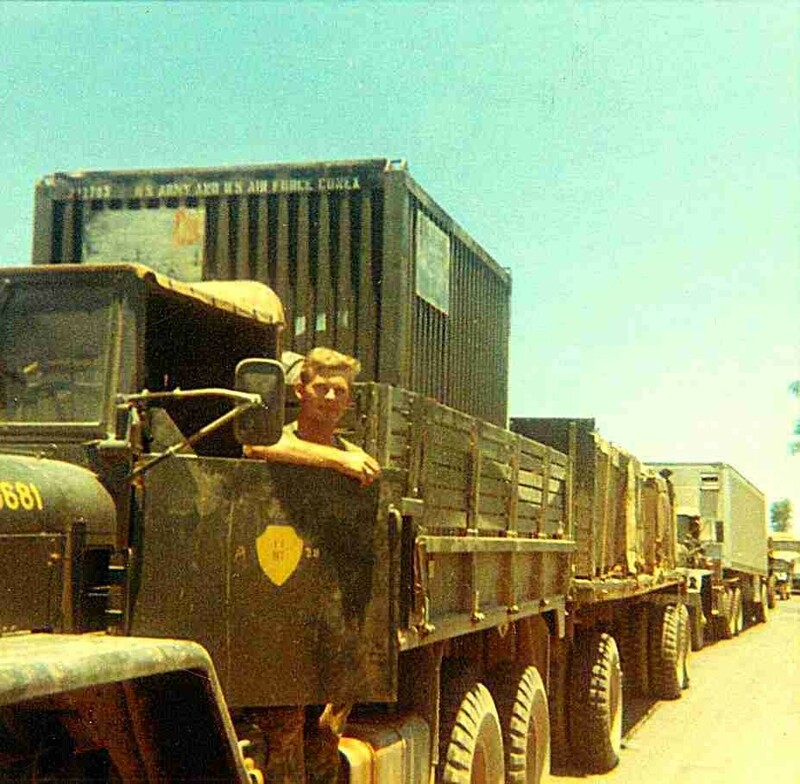 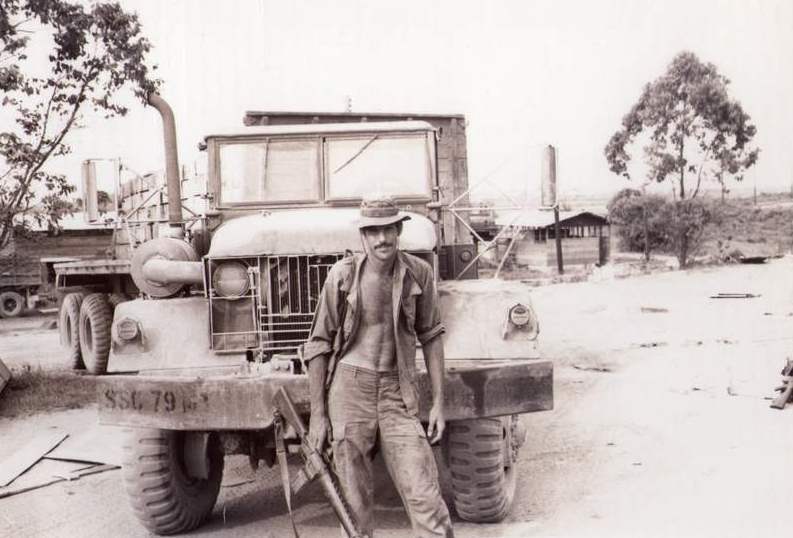 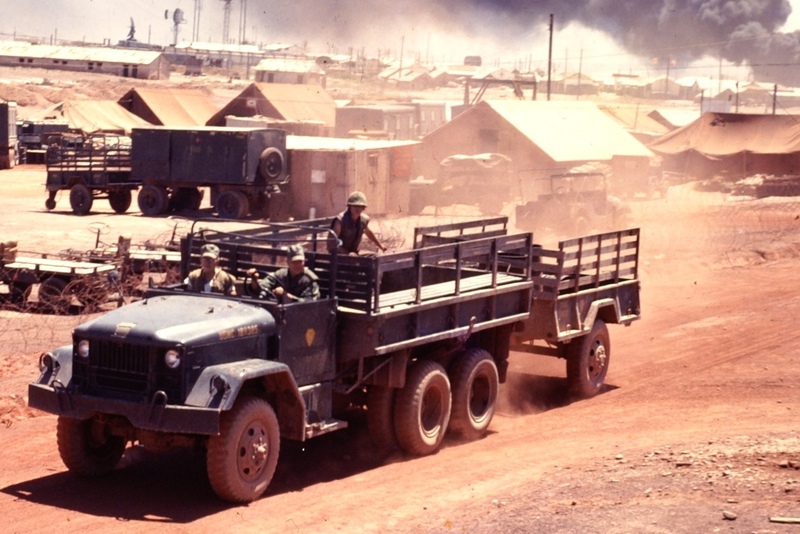 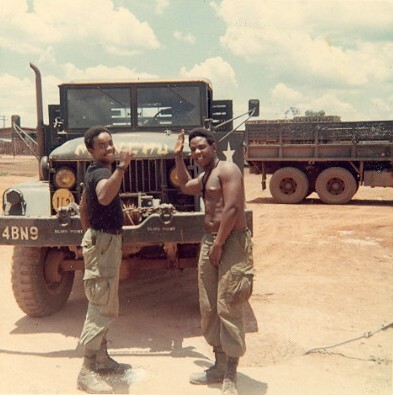 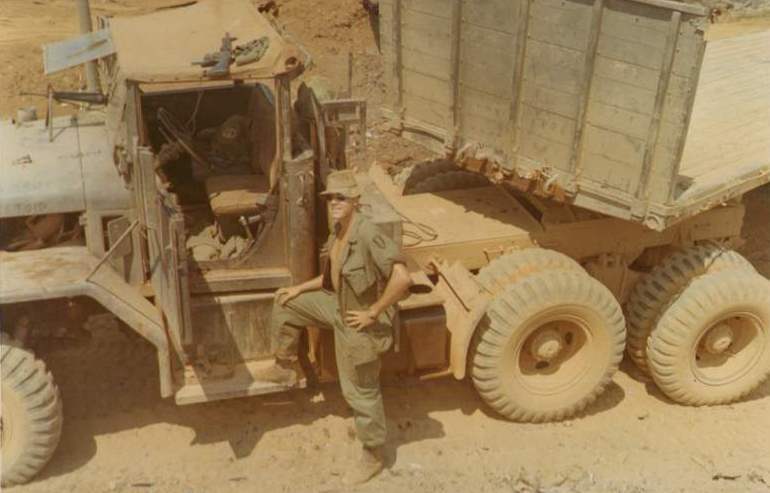 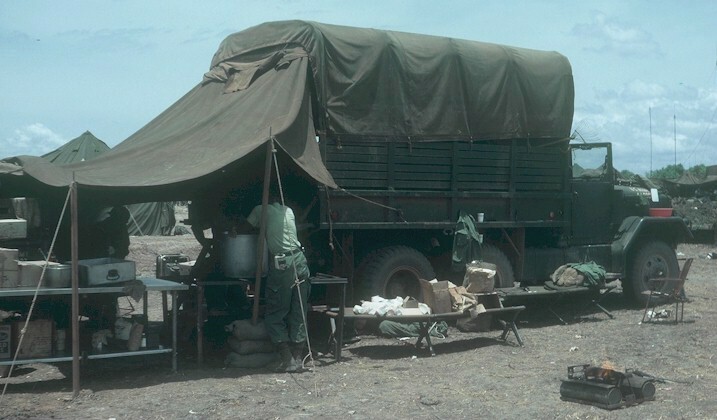 Its a M35A2 that has been cut down and made into a 4x4 with a trailer bed used as the truck bed. 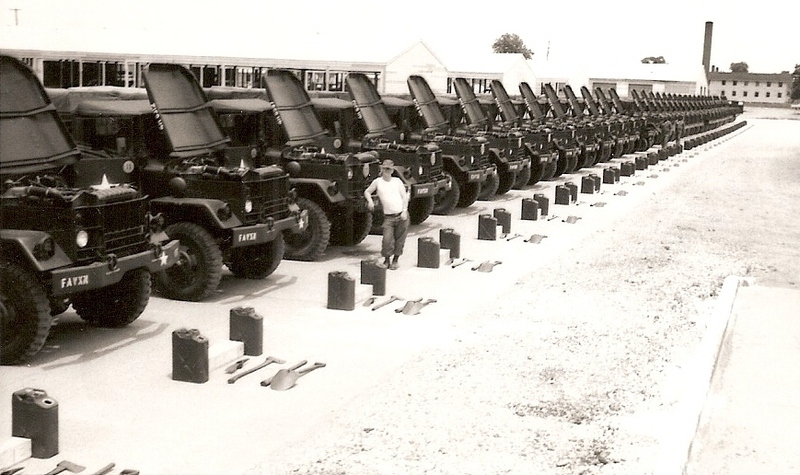 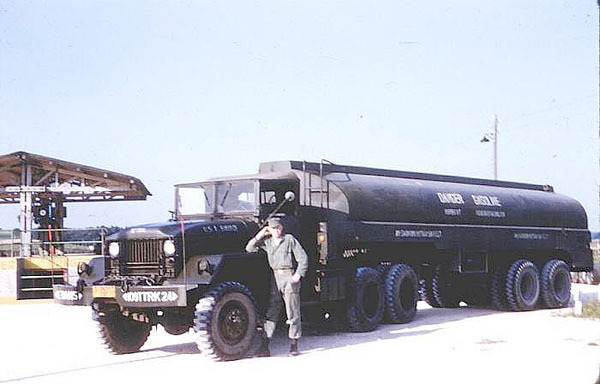 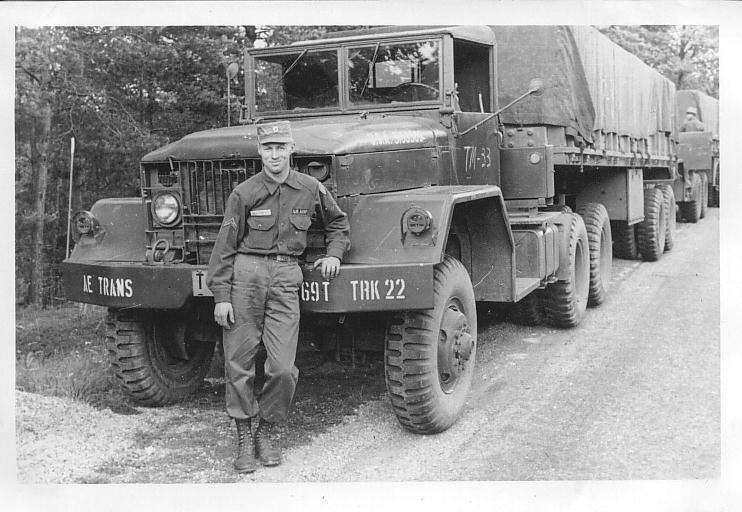 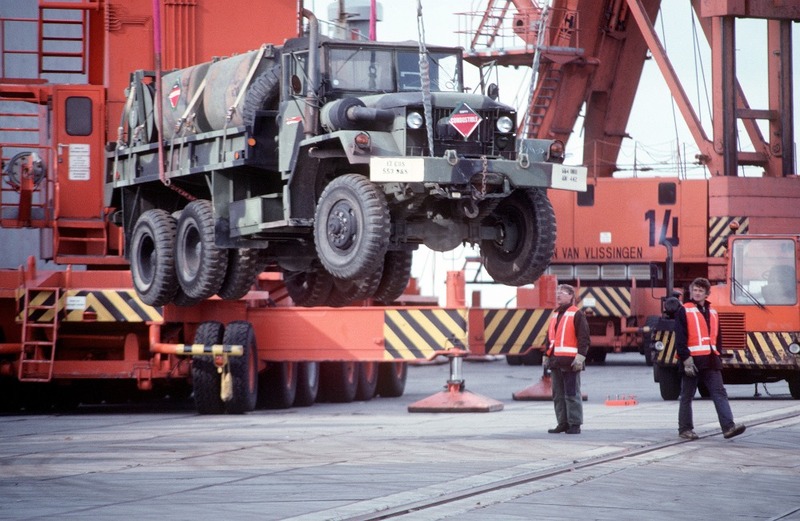 Have you seen David Doyle's excellent article on "Decoding your Deuce" in Military Vehicles Magazine? 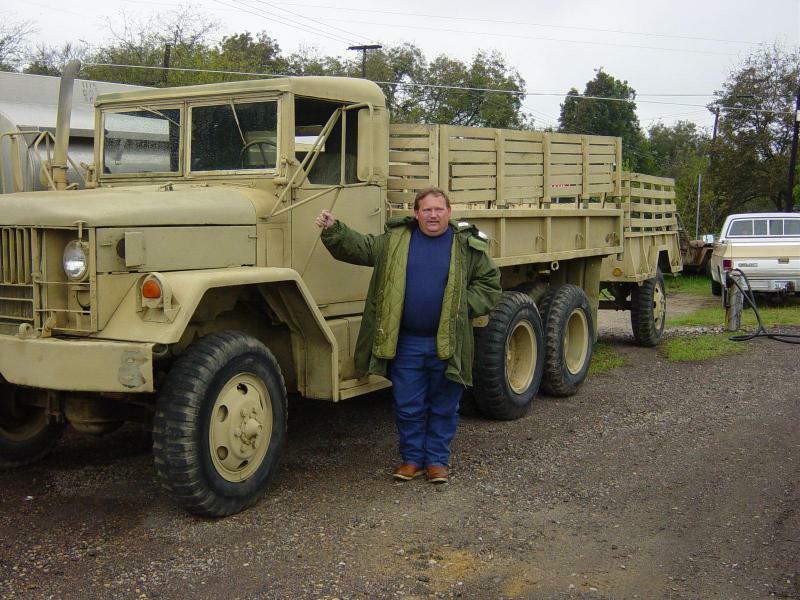 It is a really good article! 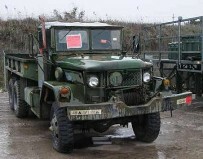 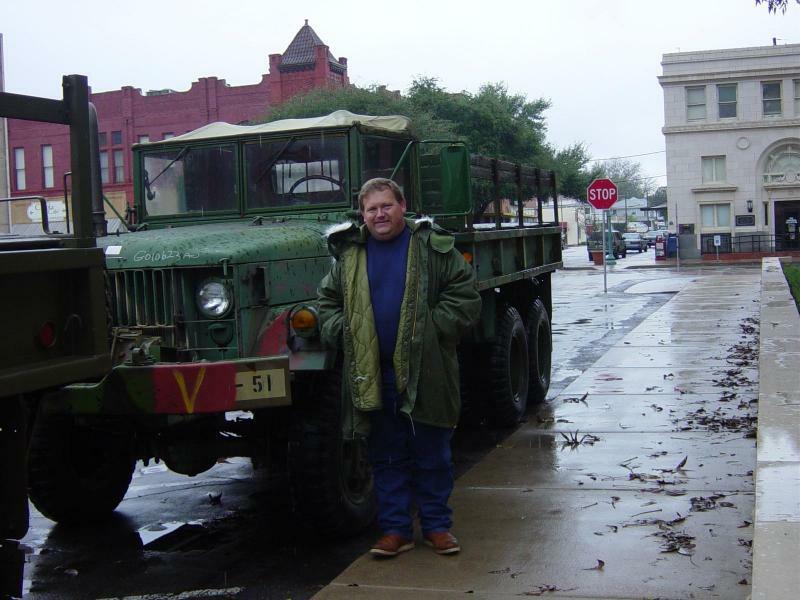 My M35A2's that were used in making NBC movie "Saving Jessica Lynch"